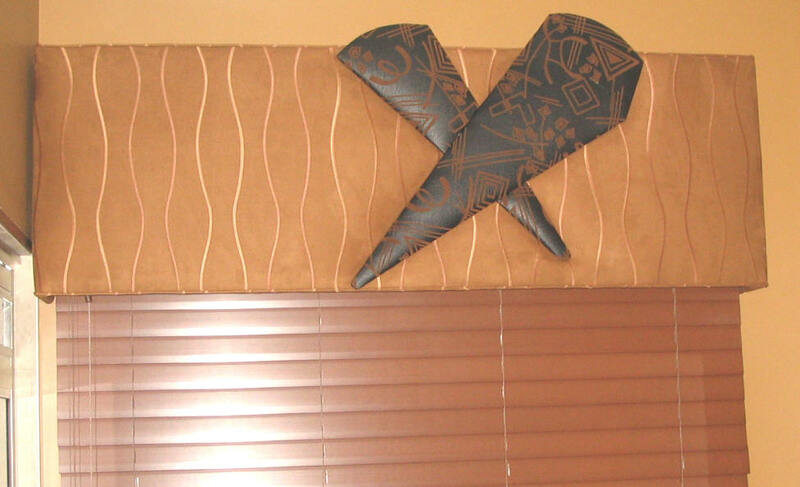 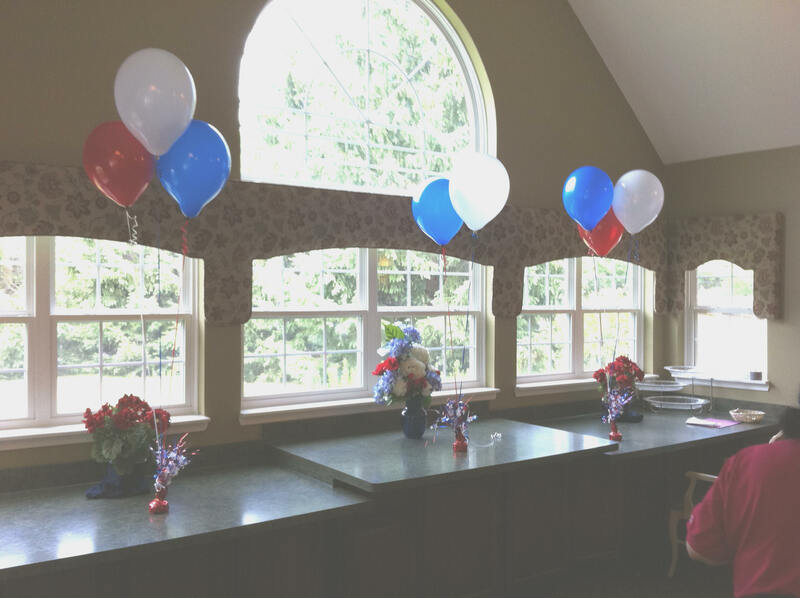 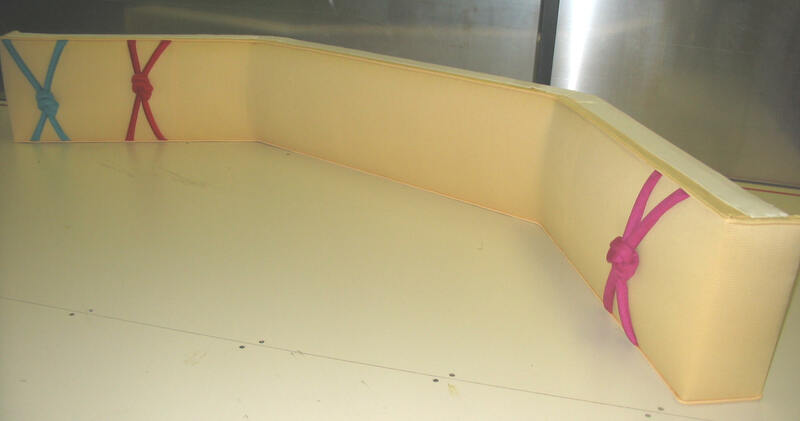 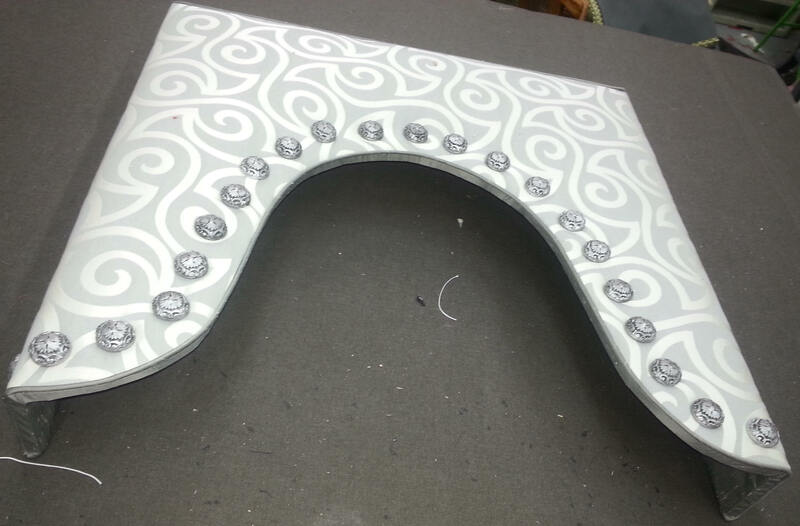 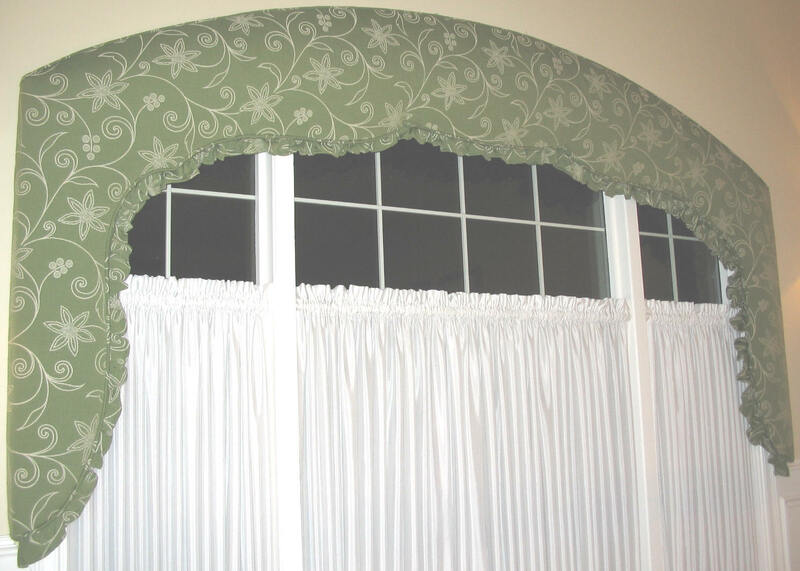 If you’re looking for unique window cornices that are easy and fun to create, you’ve come to the right place! 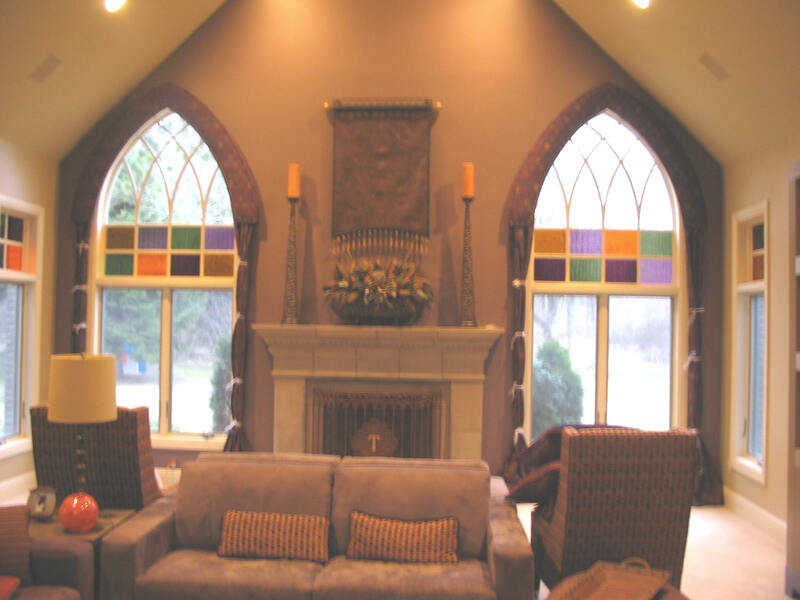 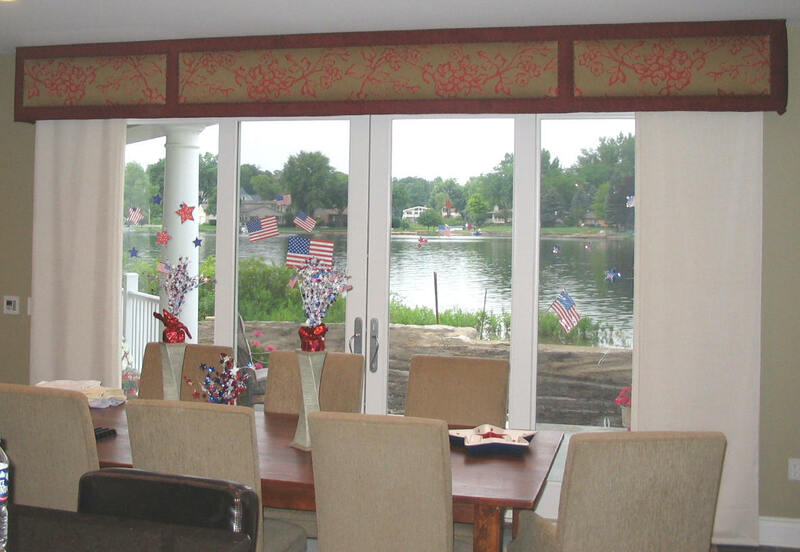 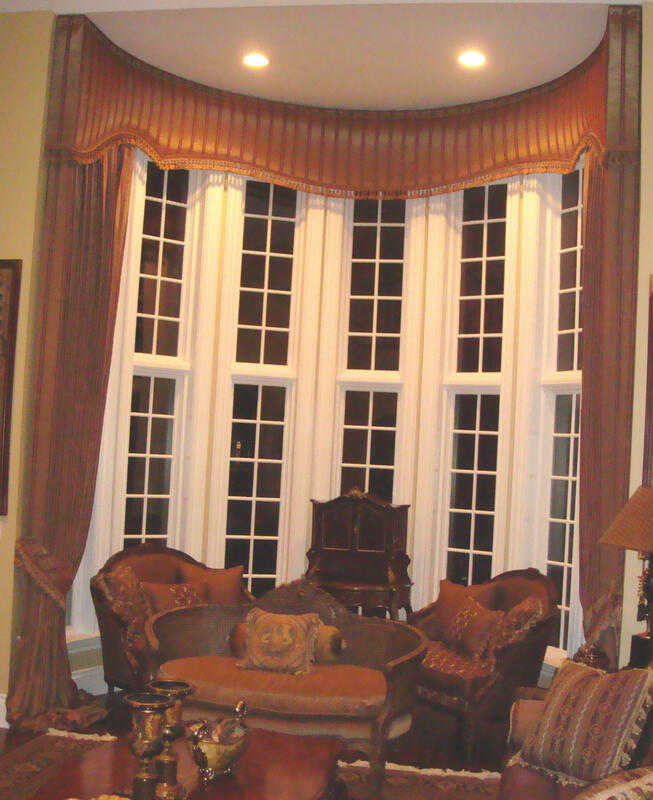 We offer several styles and sizes that will surely suit your windows and offer a fantastic, creative enhancement to any room. 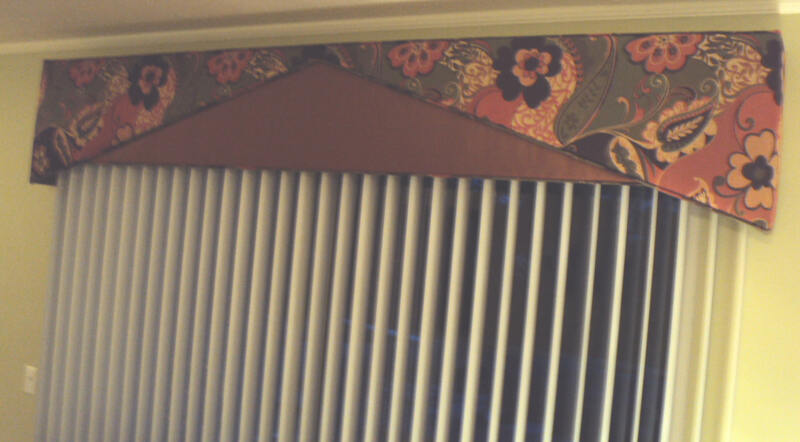 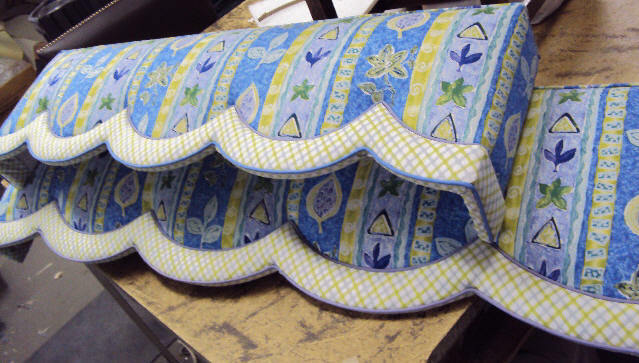 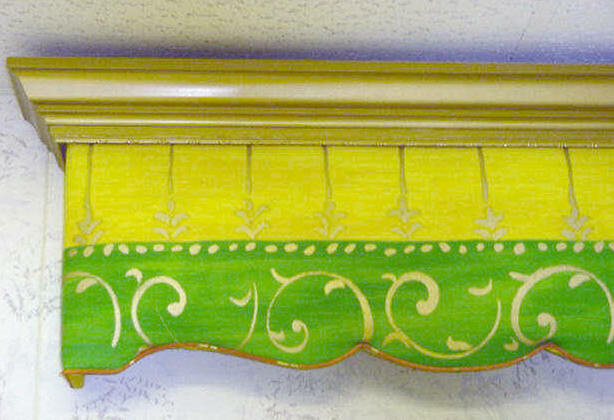 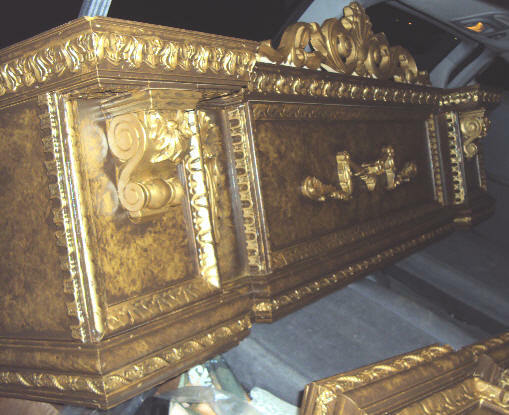 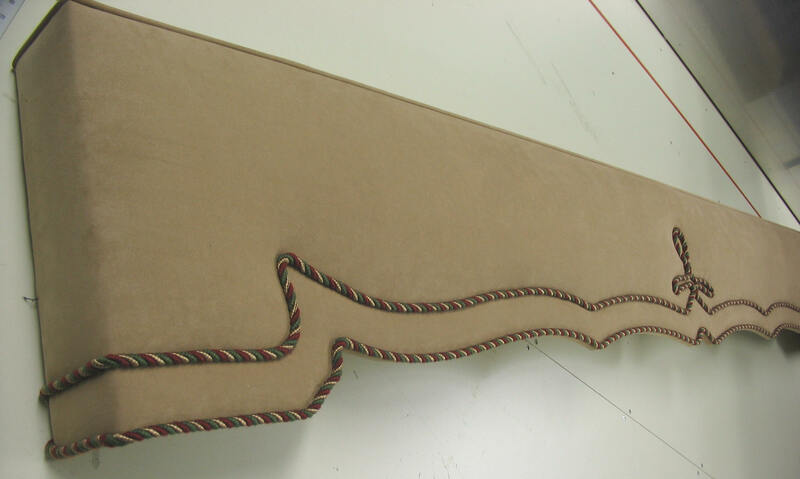 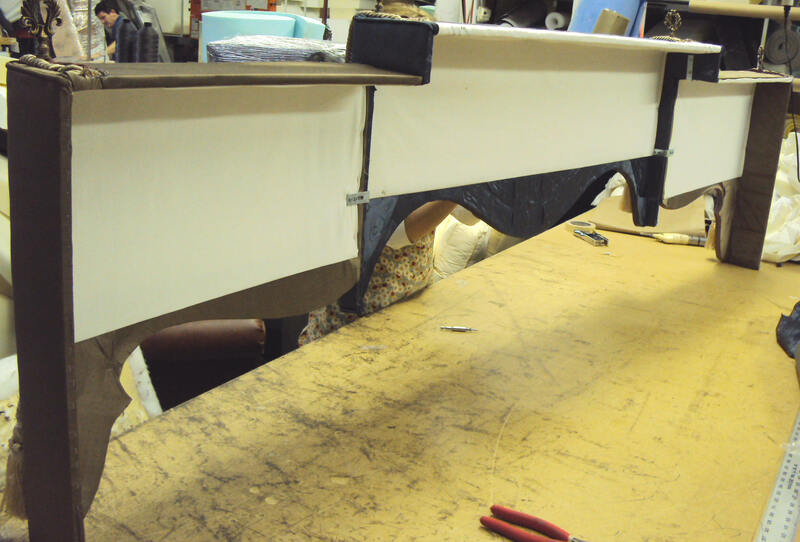 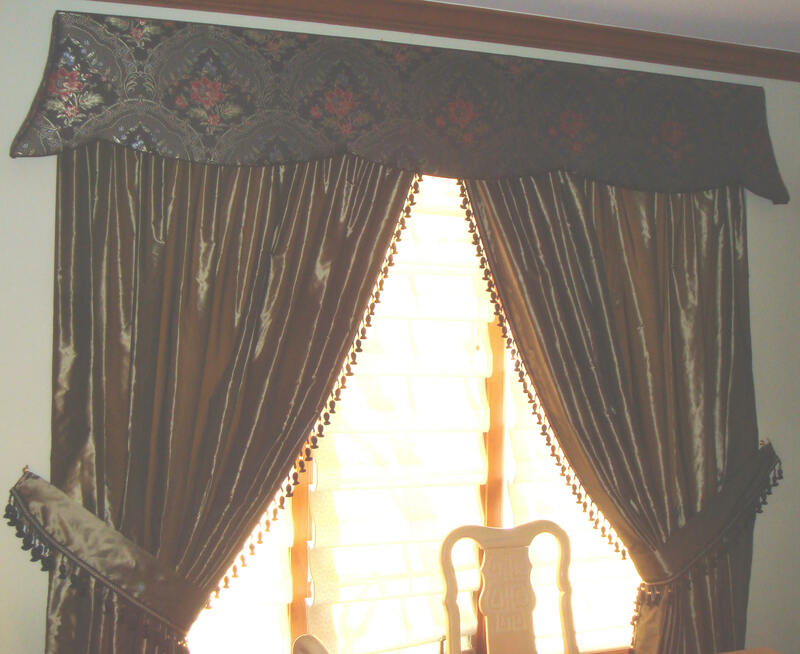 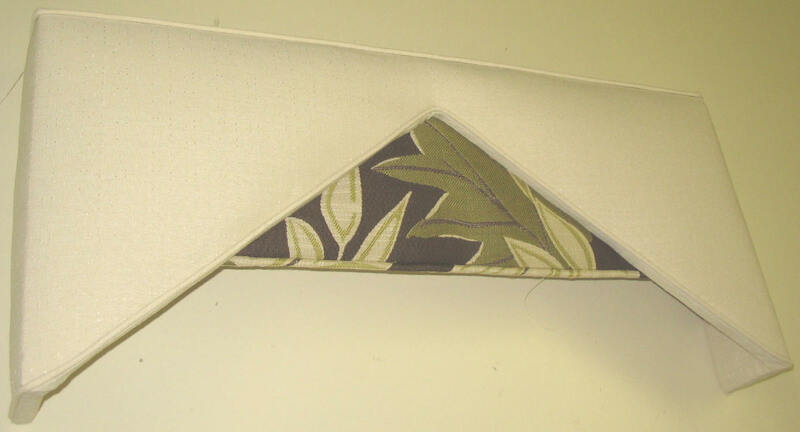 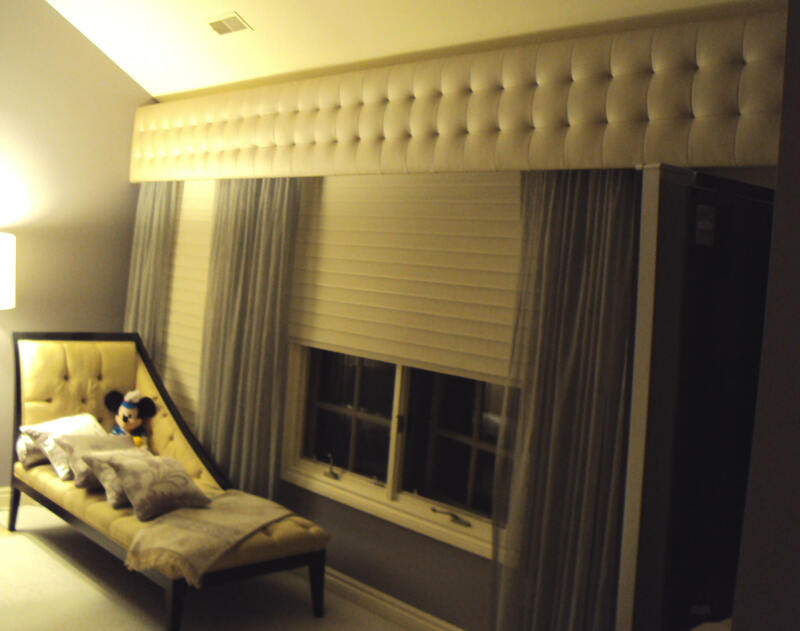 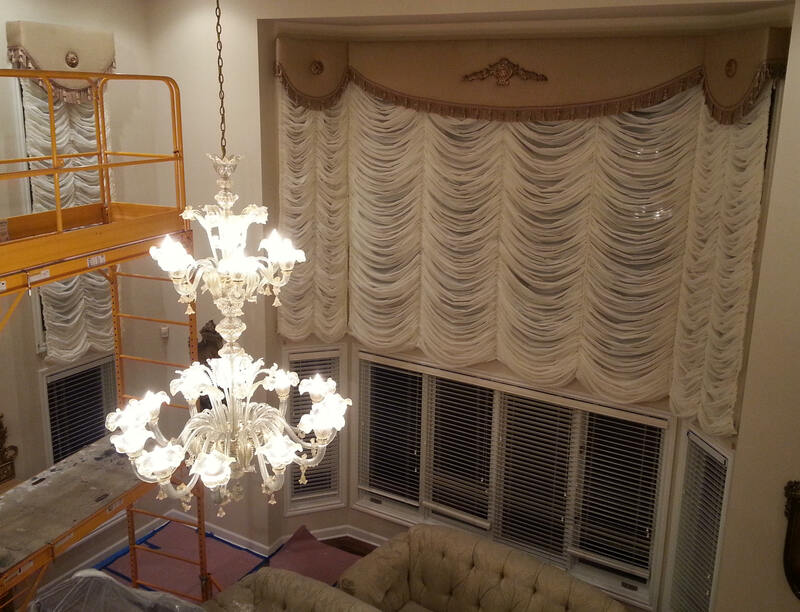 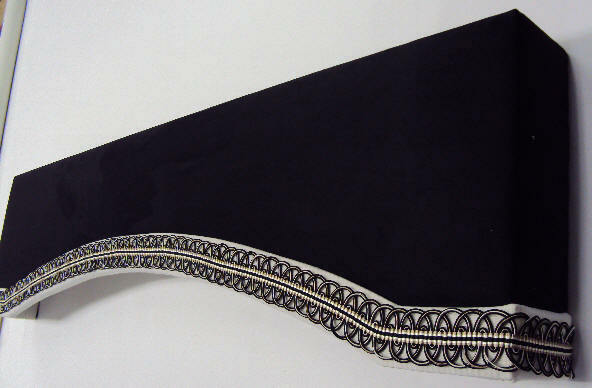 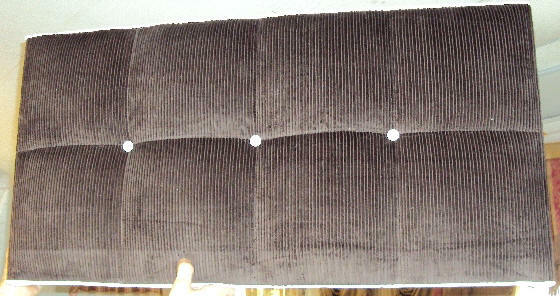 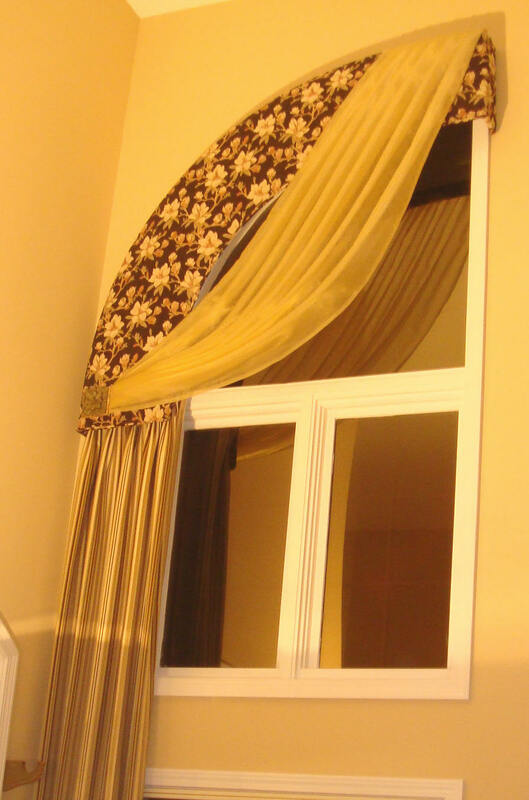 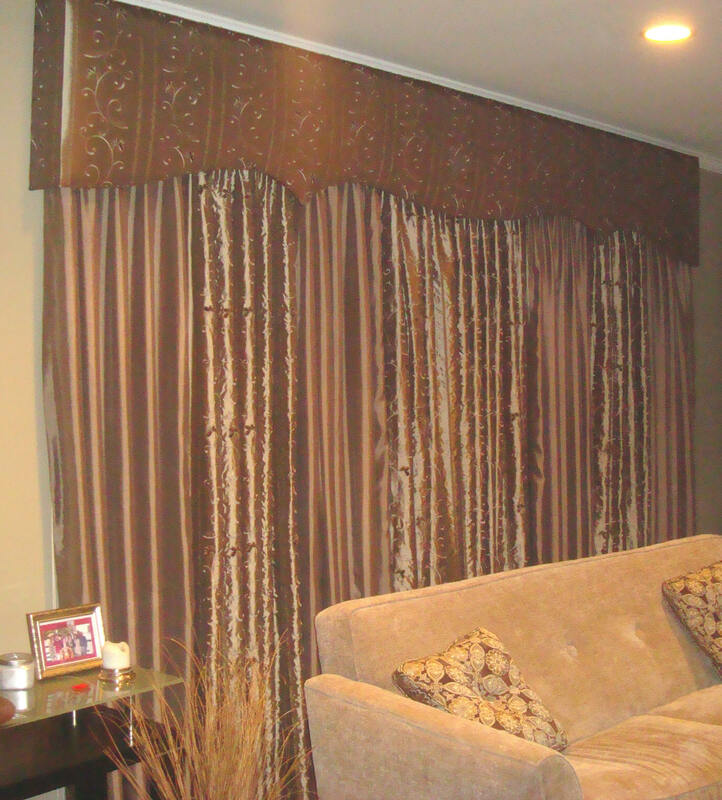 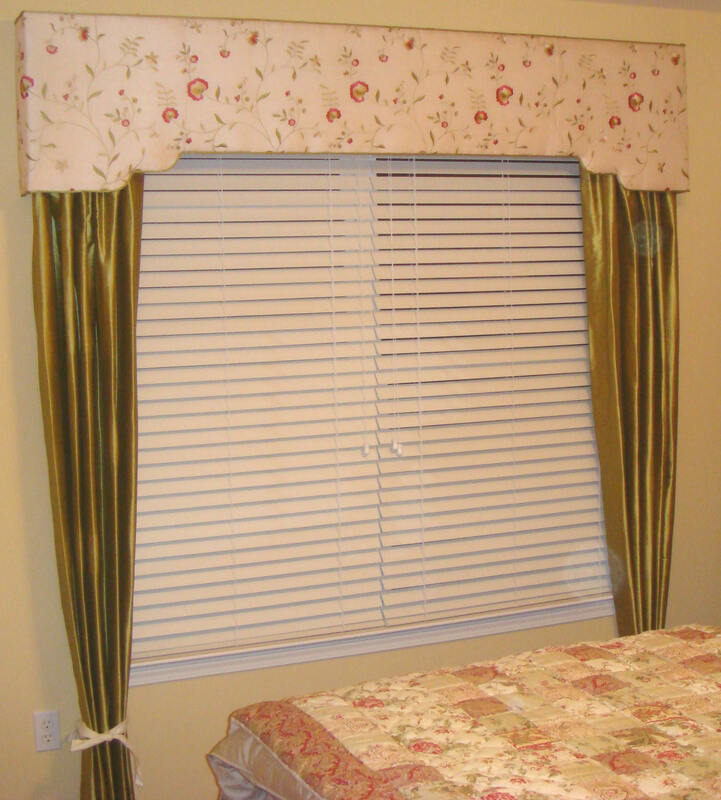 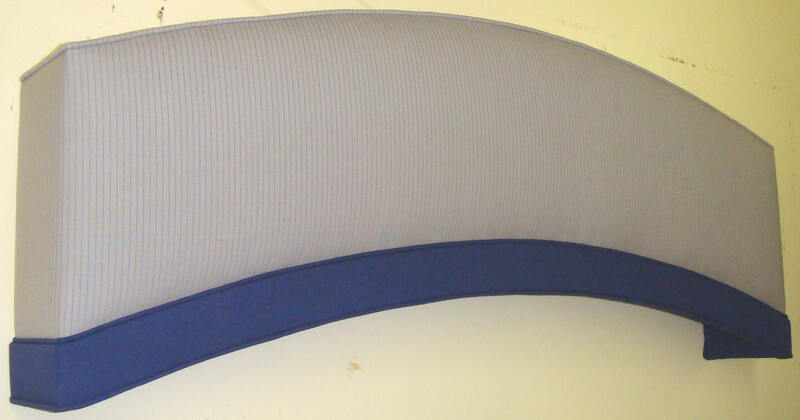 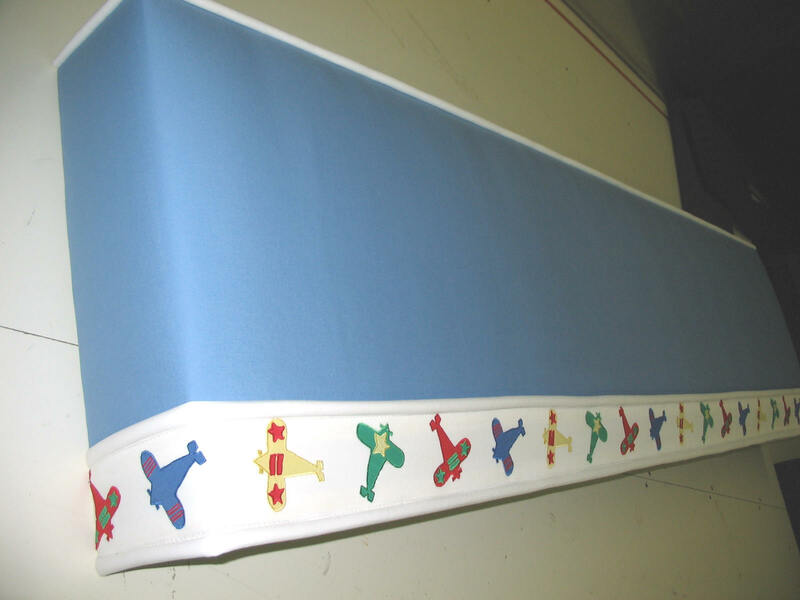 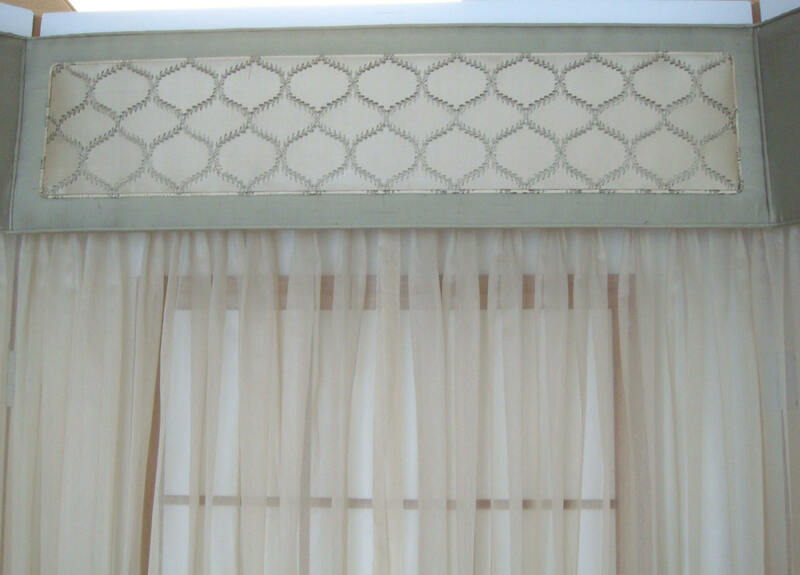 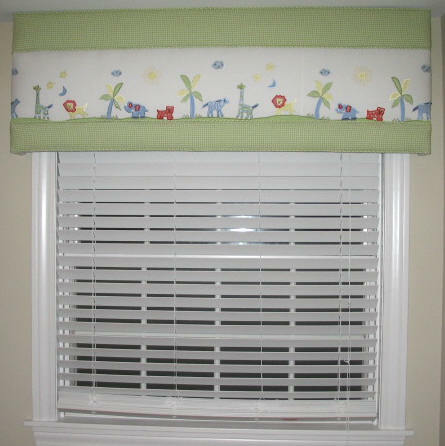 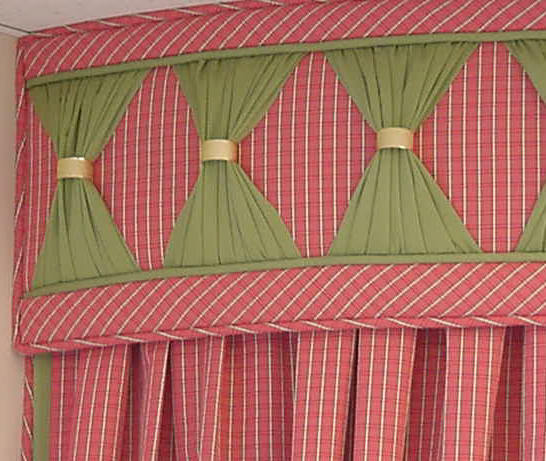 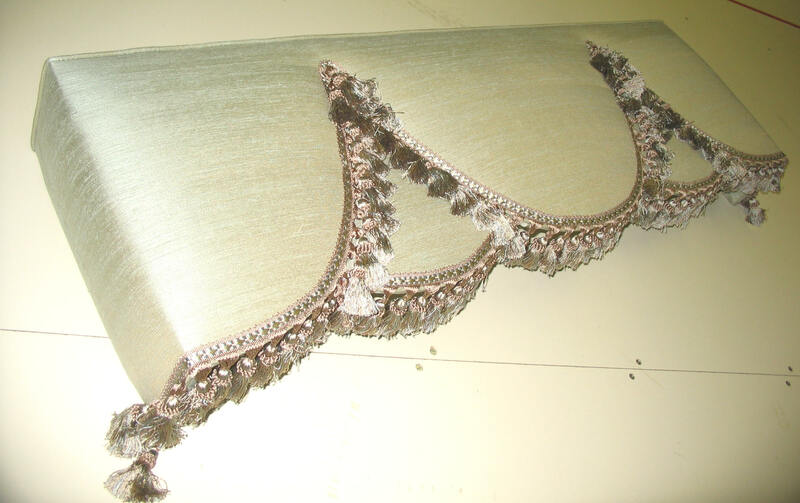 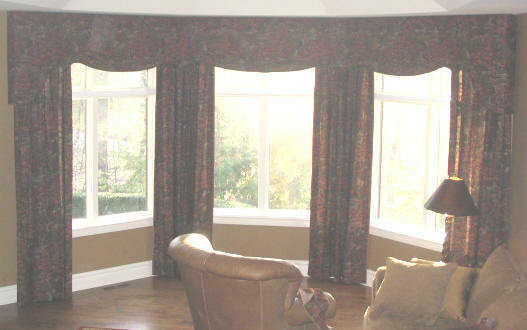 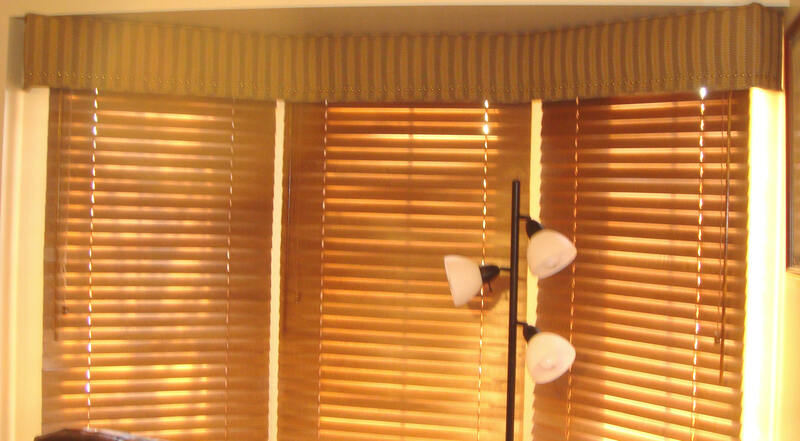 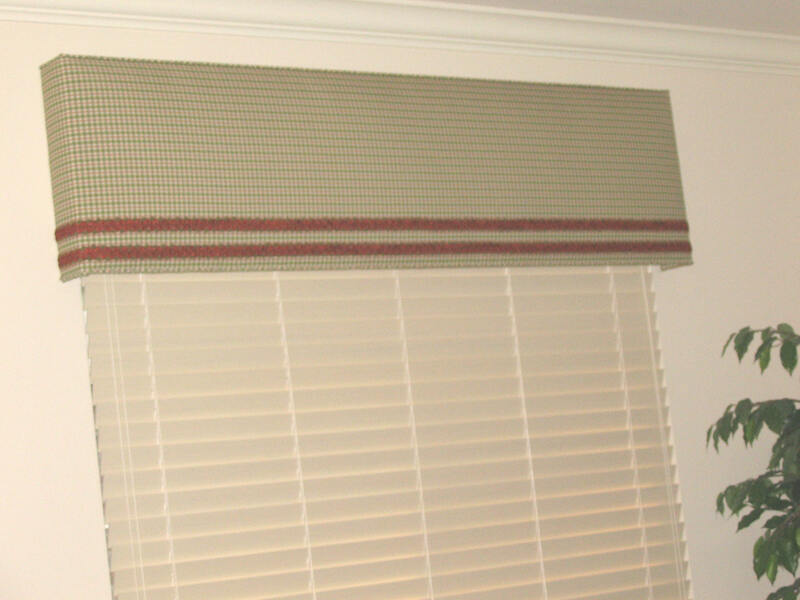 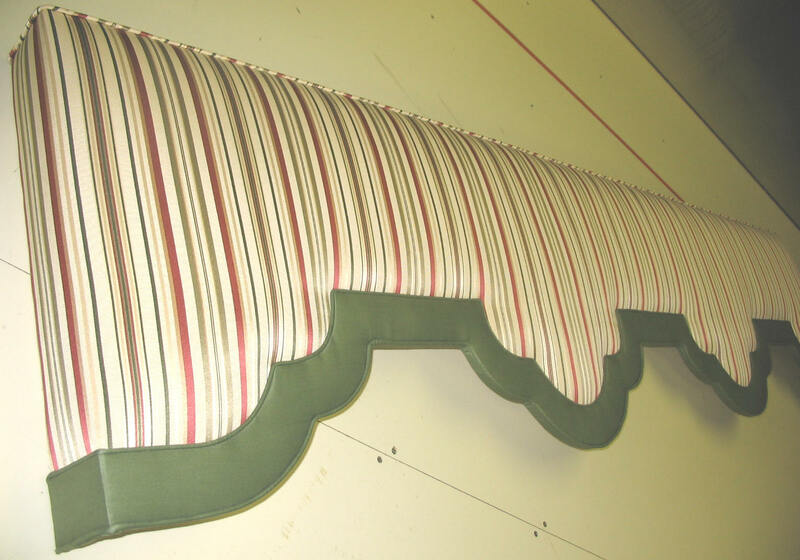 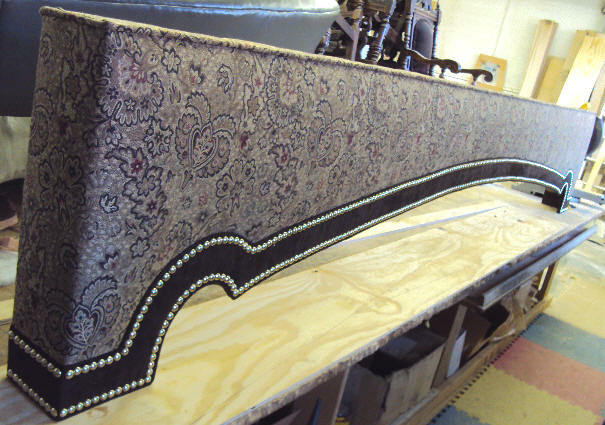 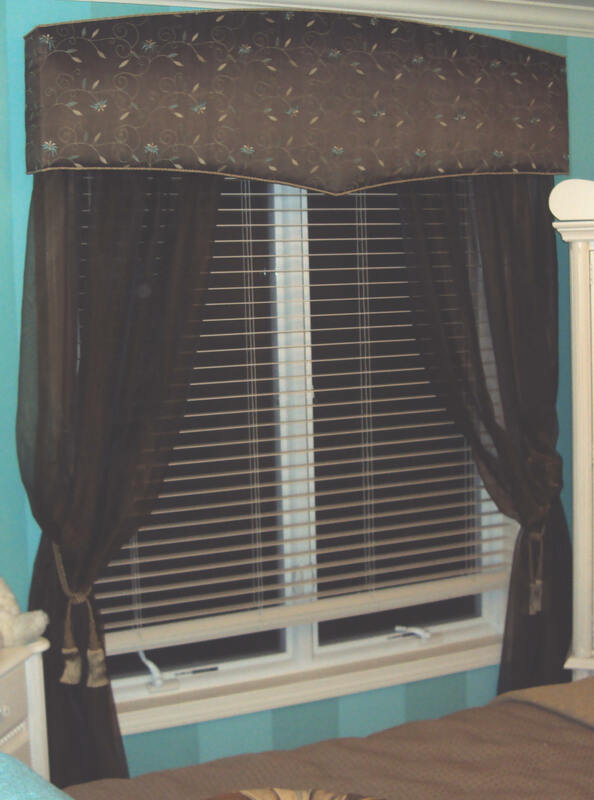 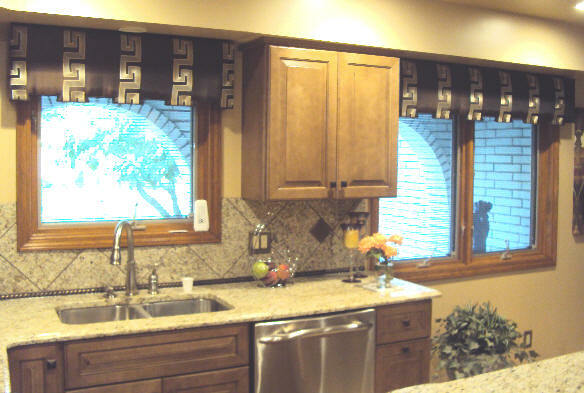 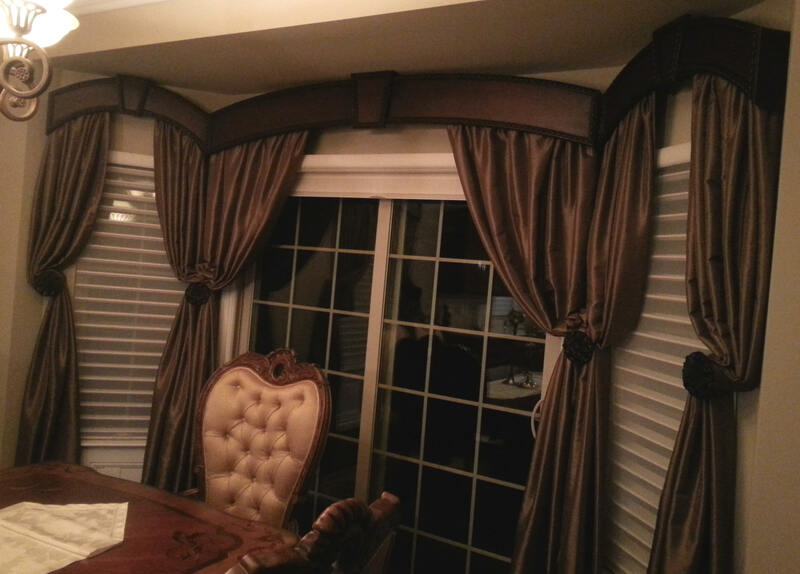 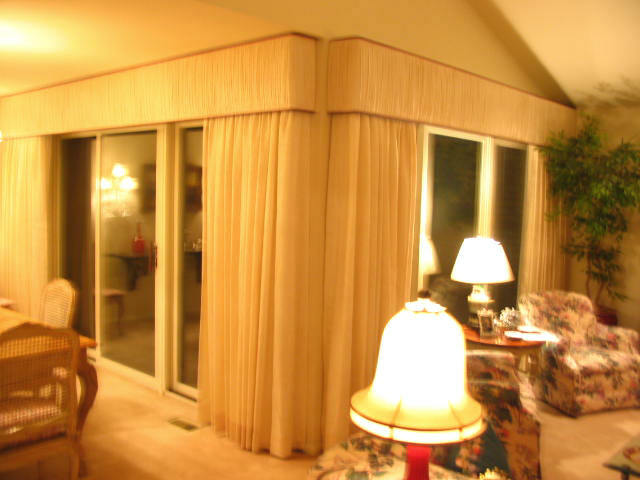 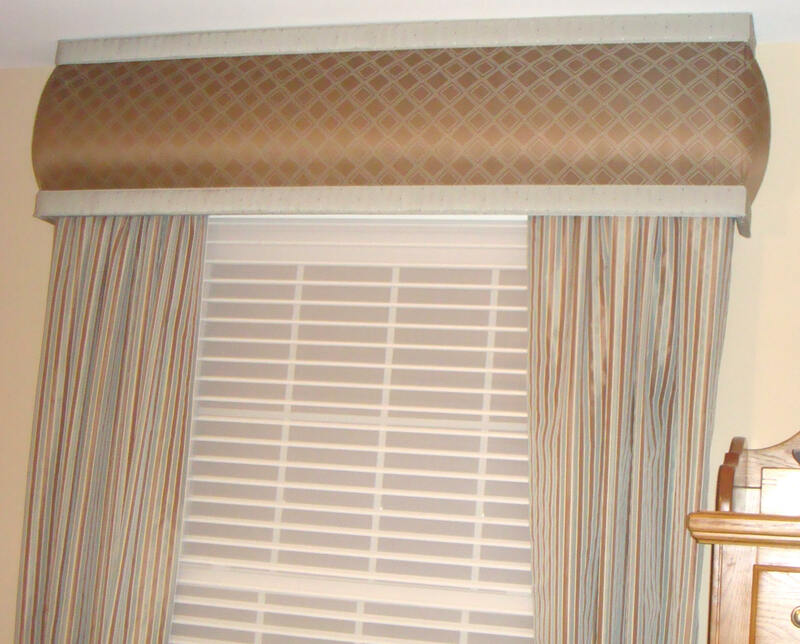 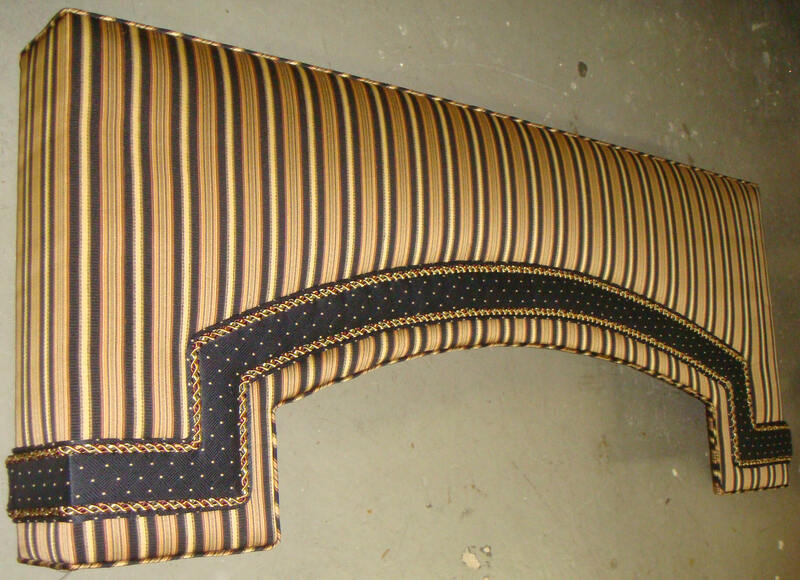 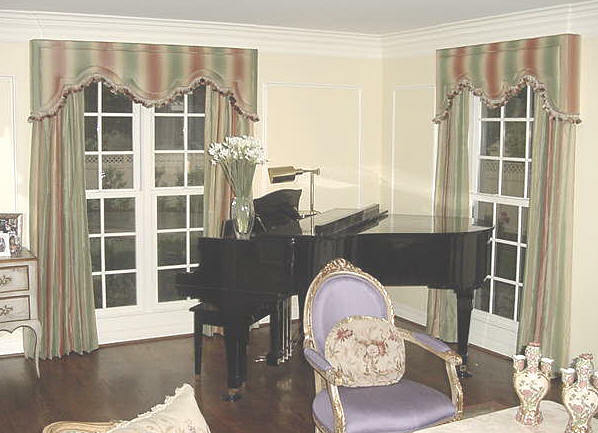 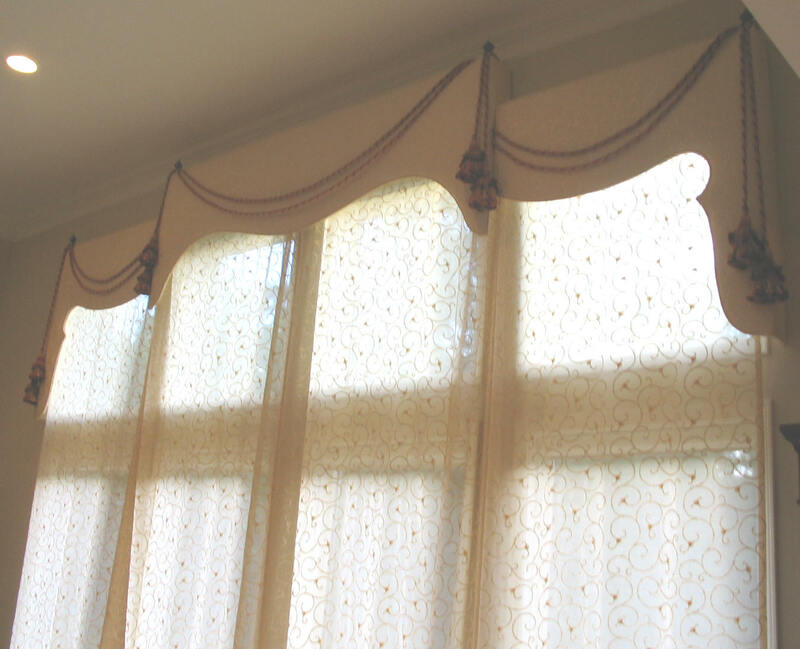 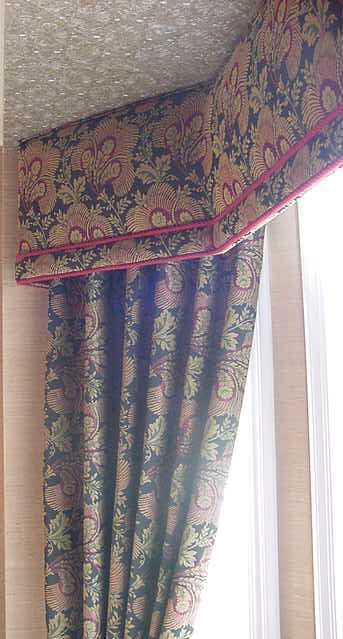 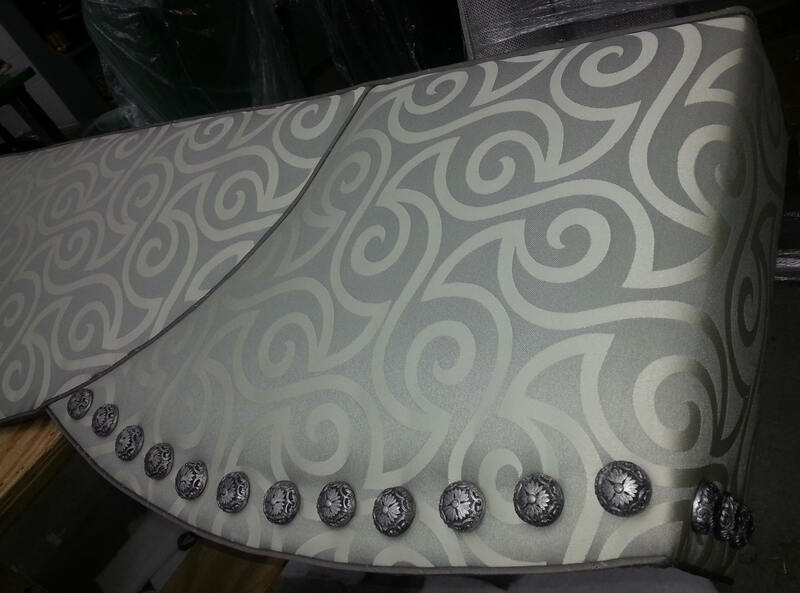 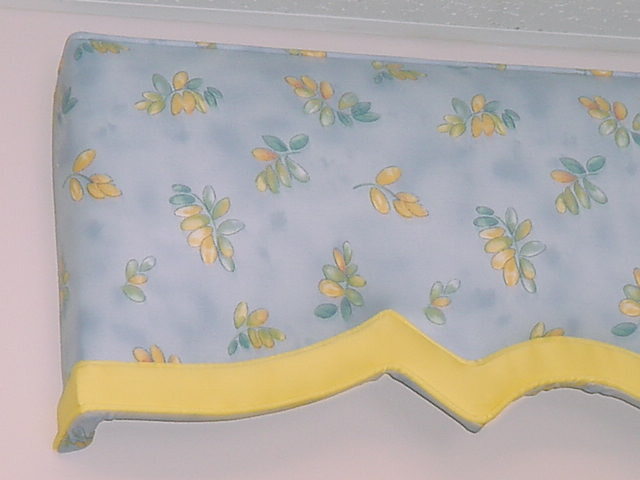 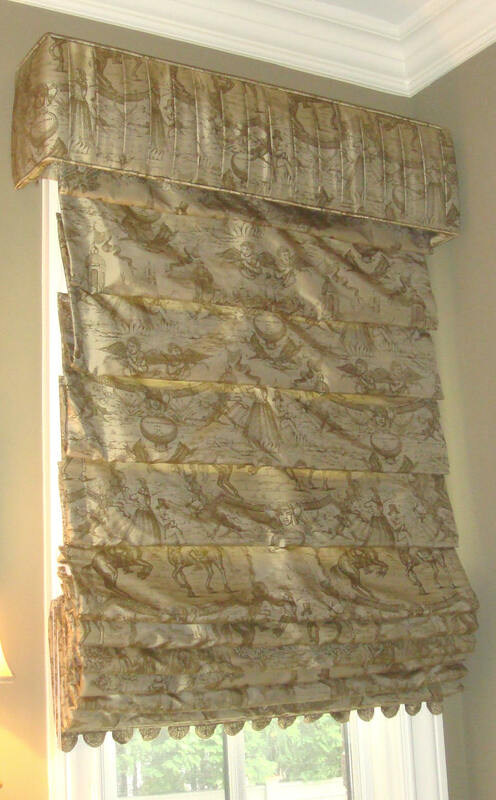 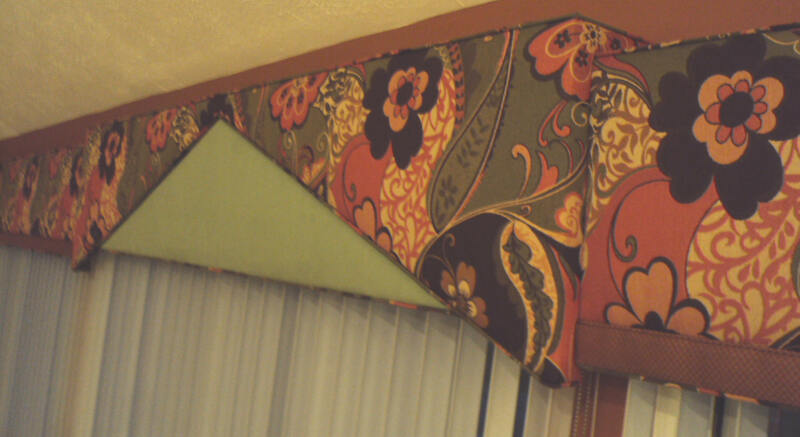 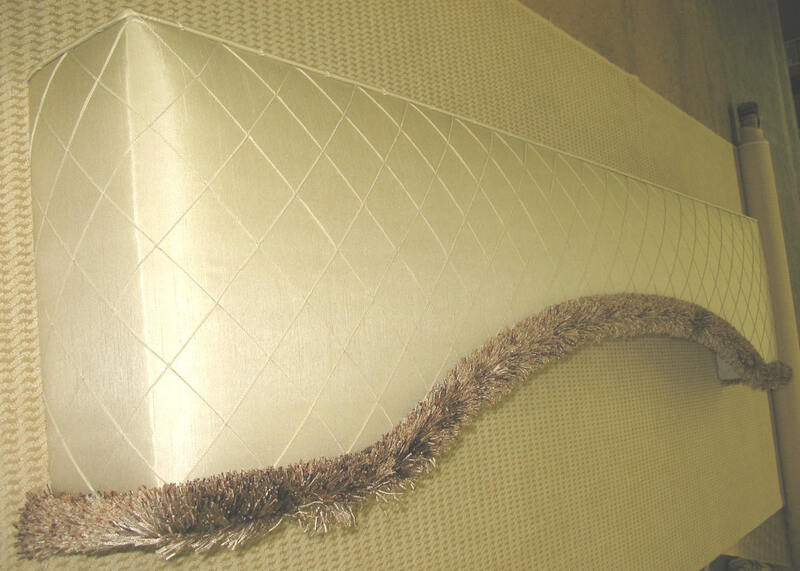 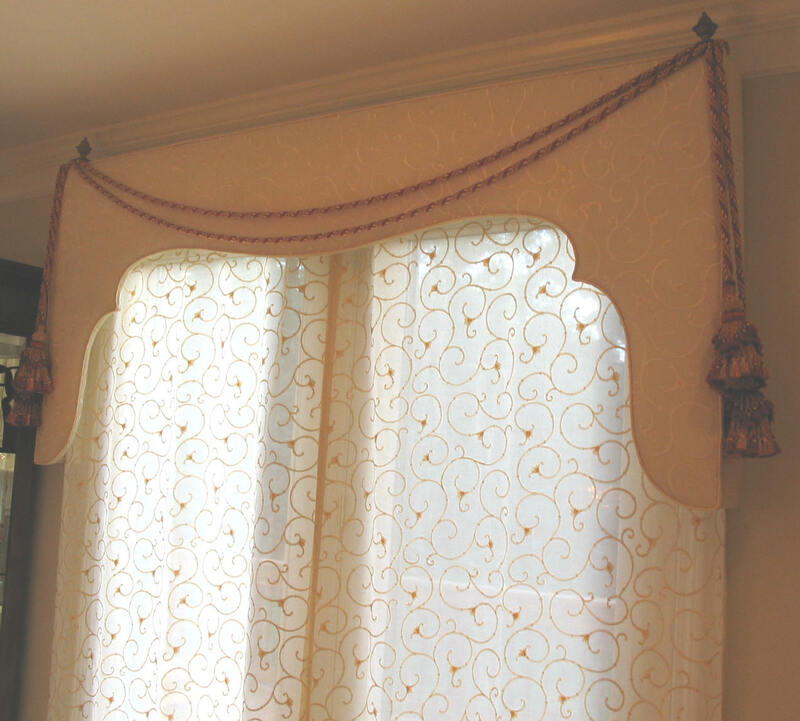 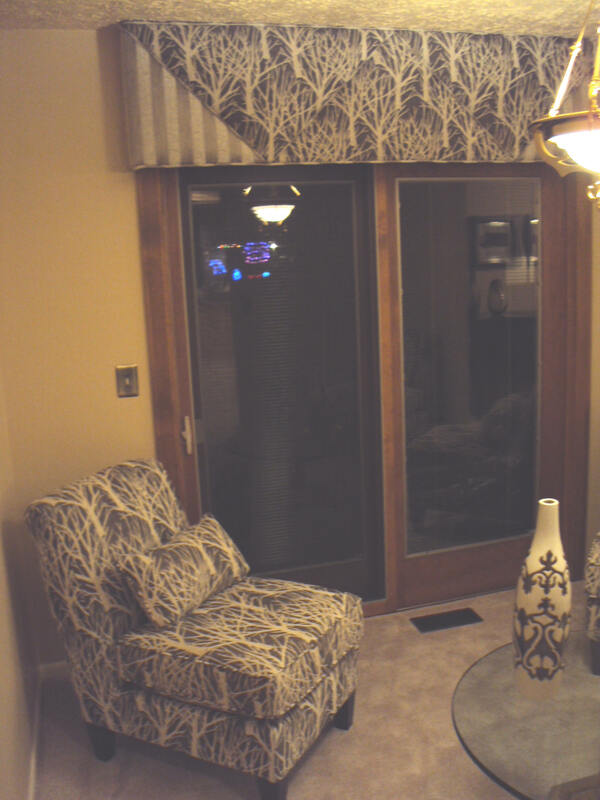 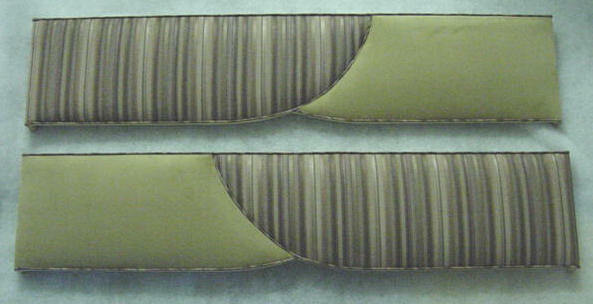 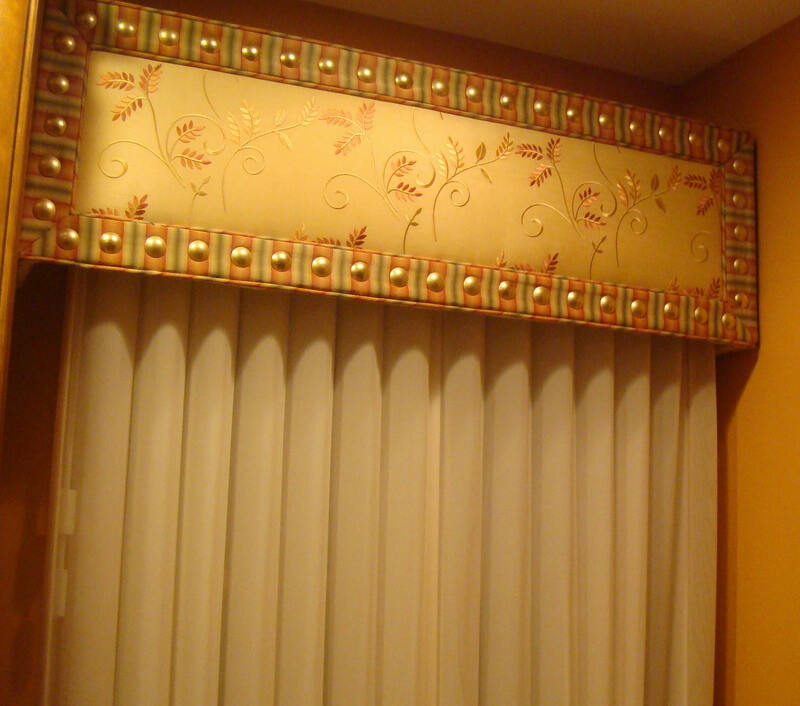 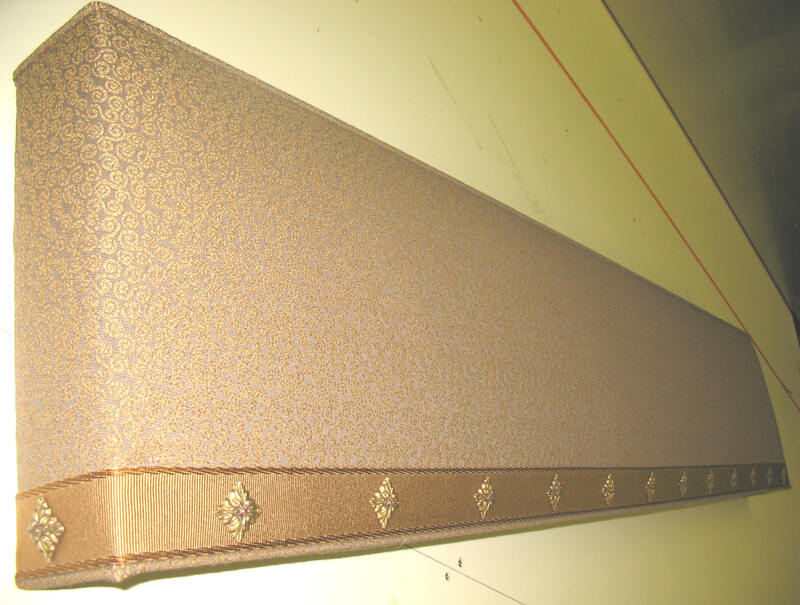 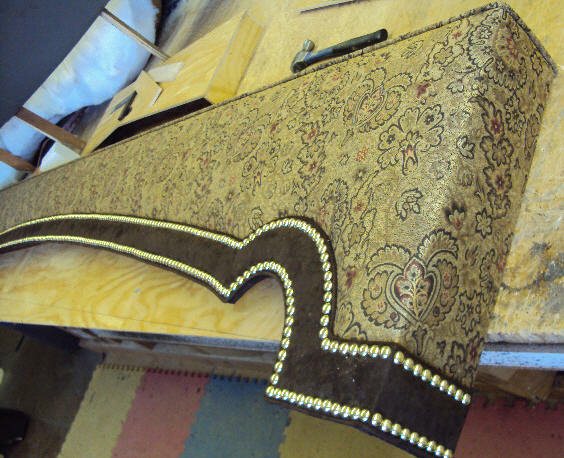 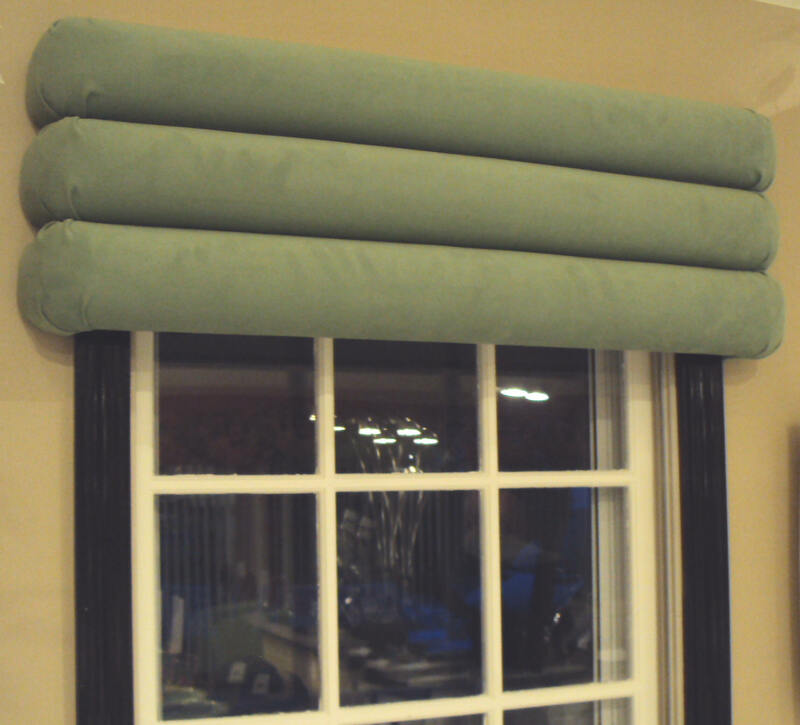 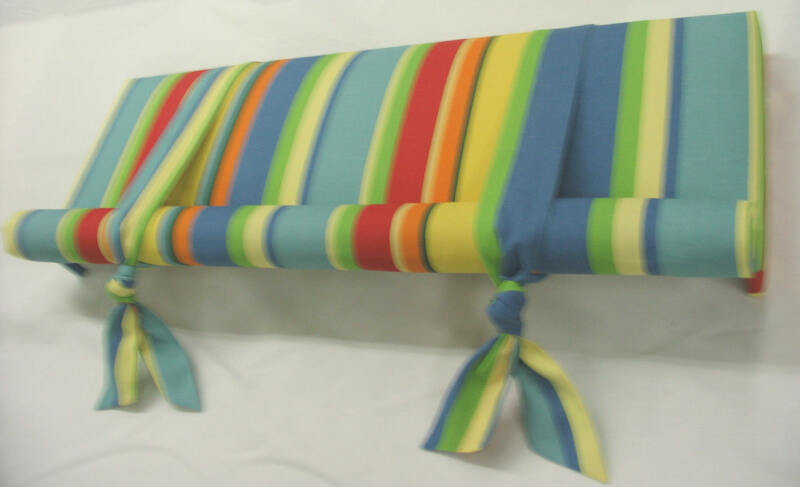 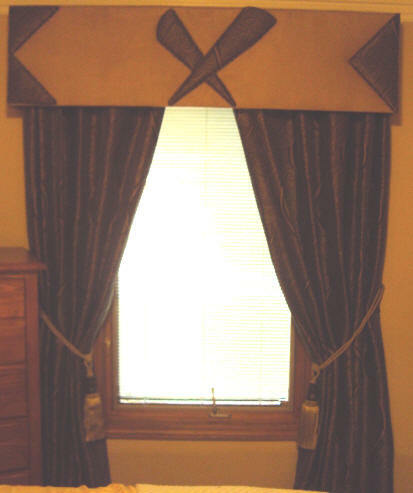 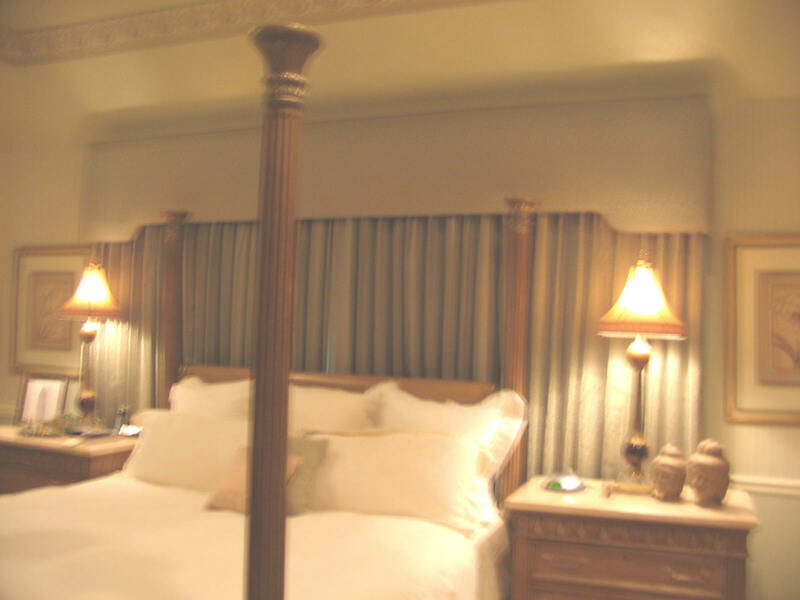 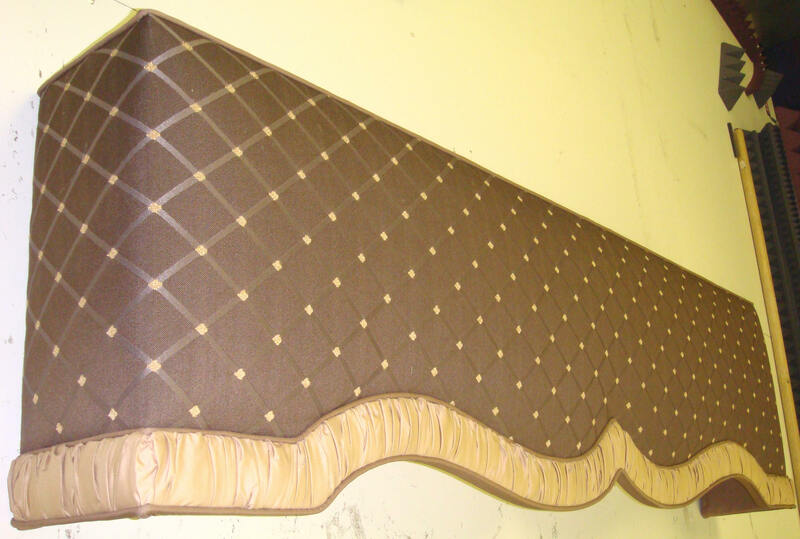 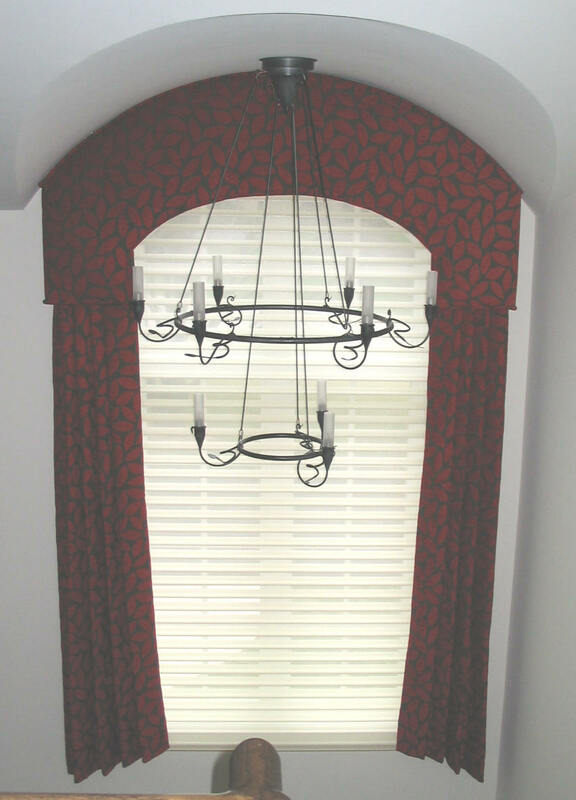 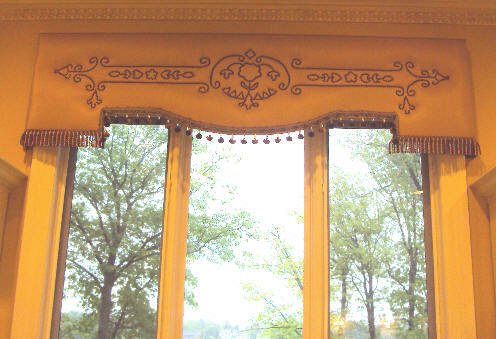 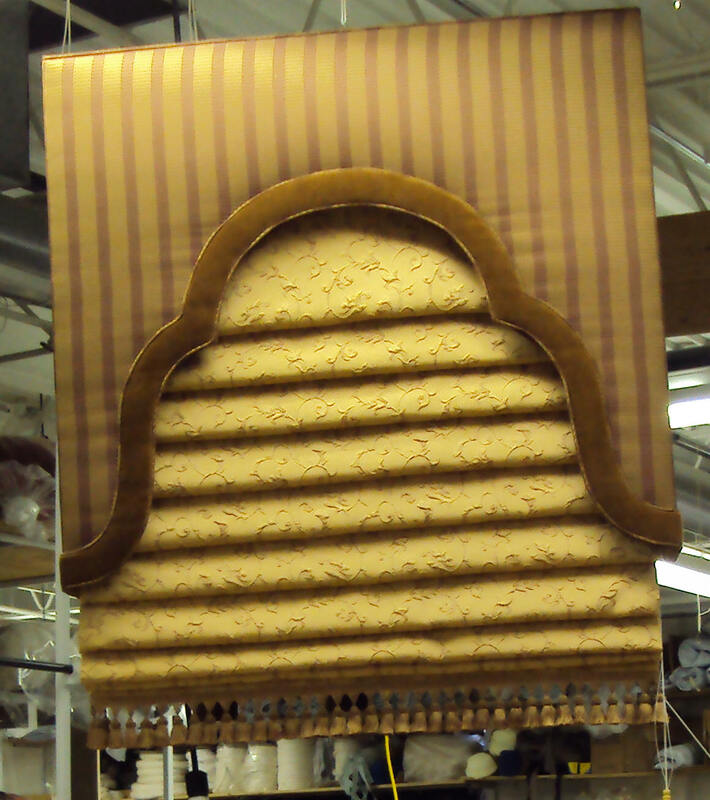 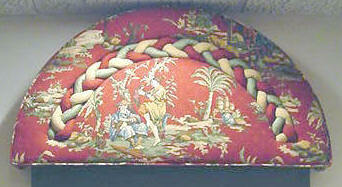 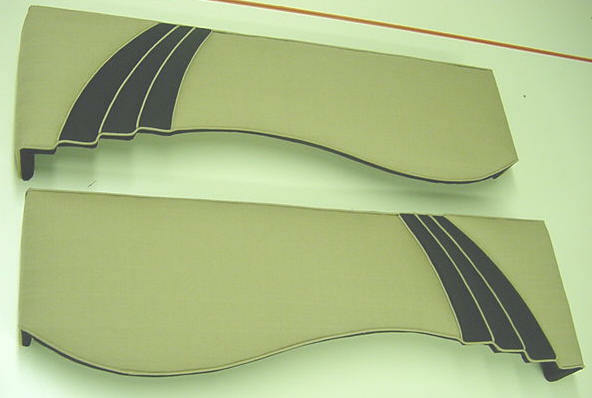 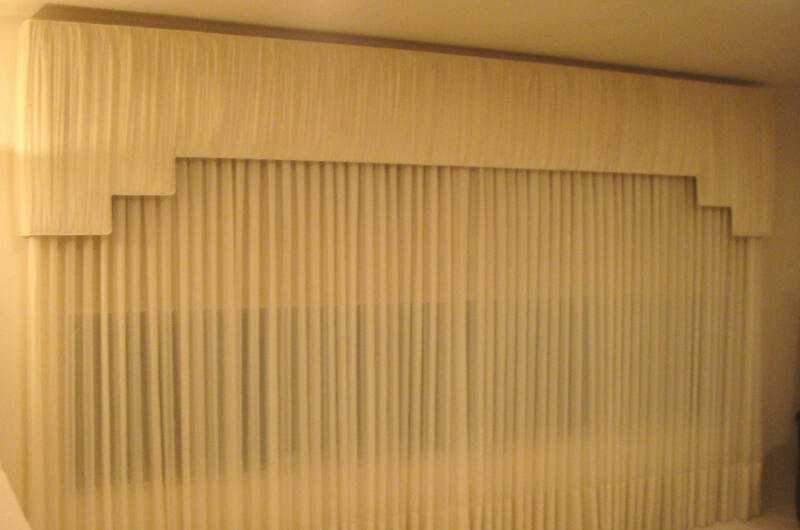 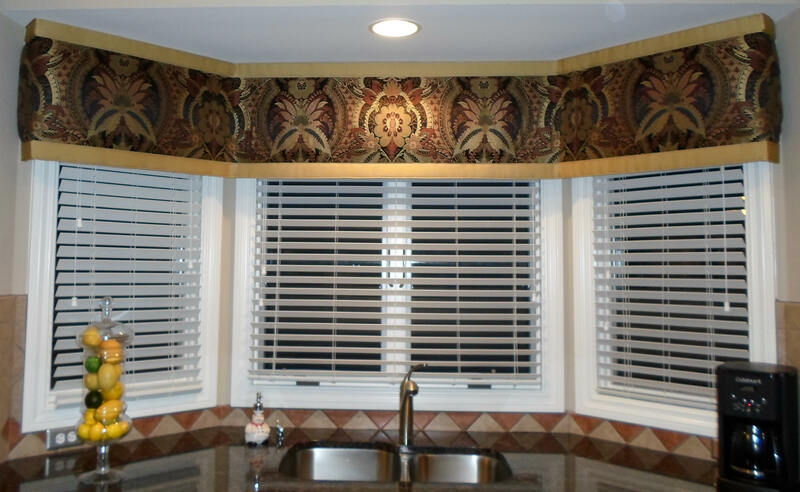 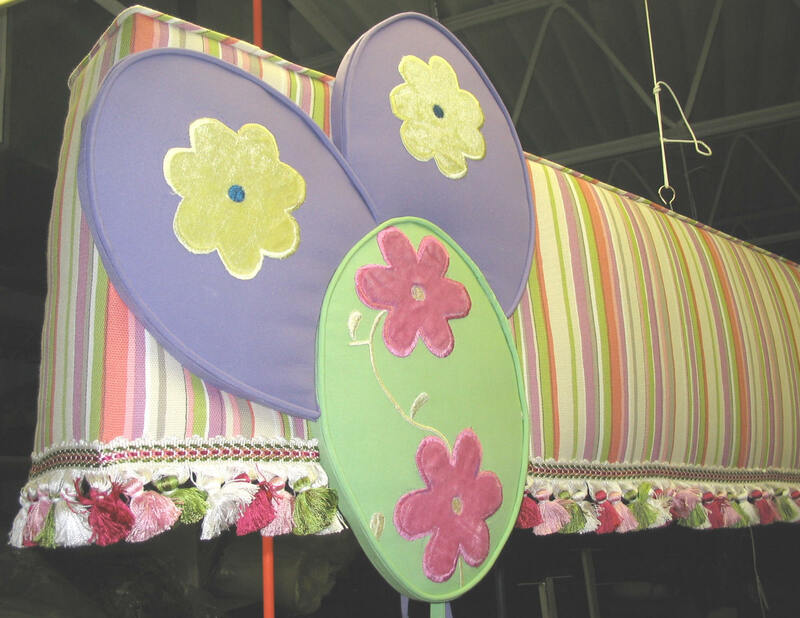 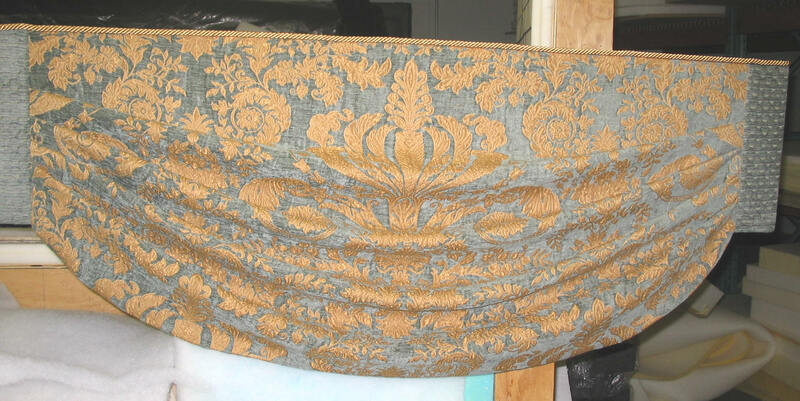 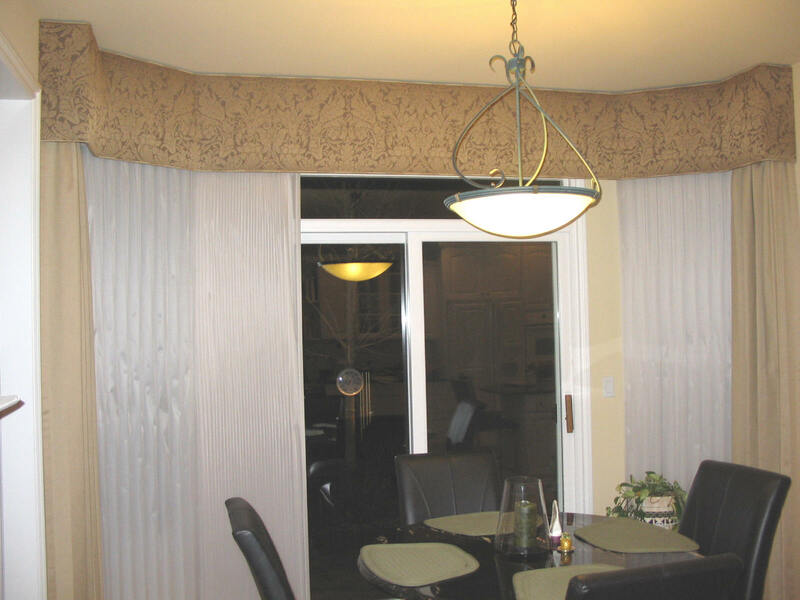 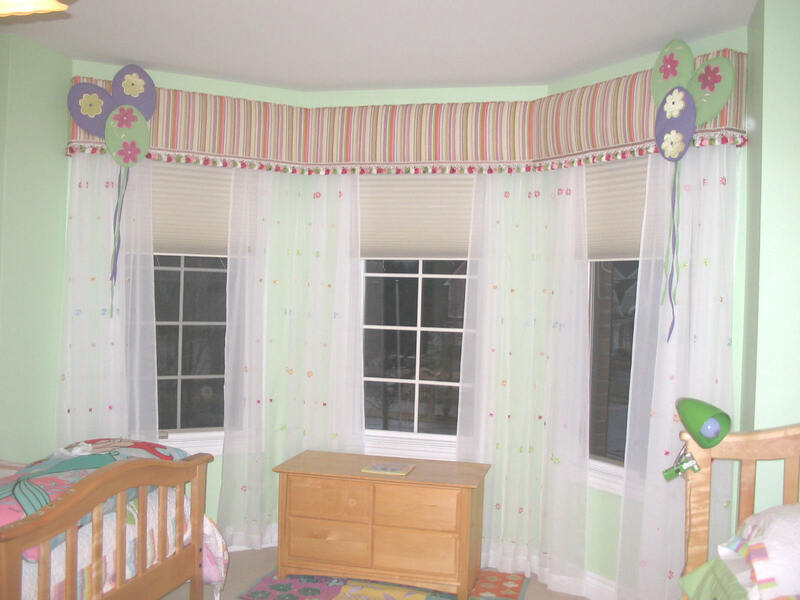 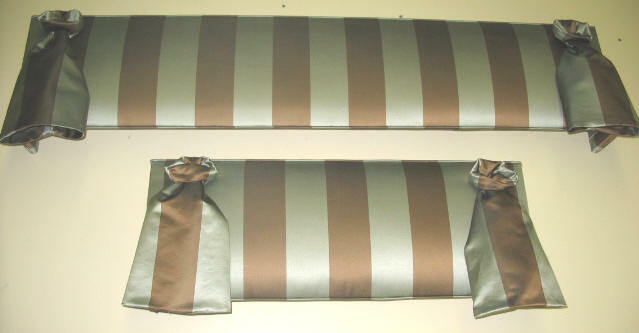 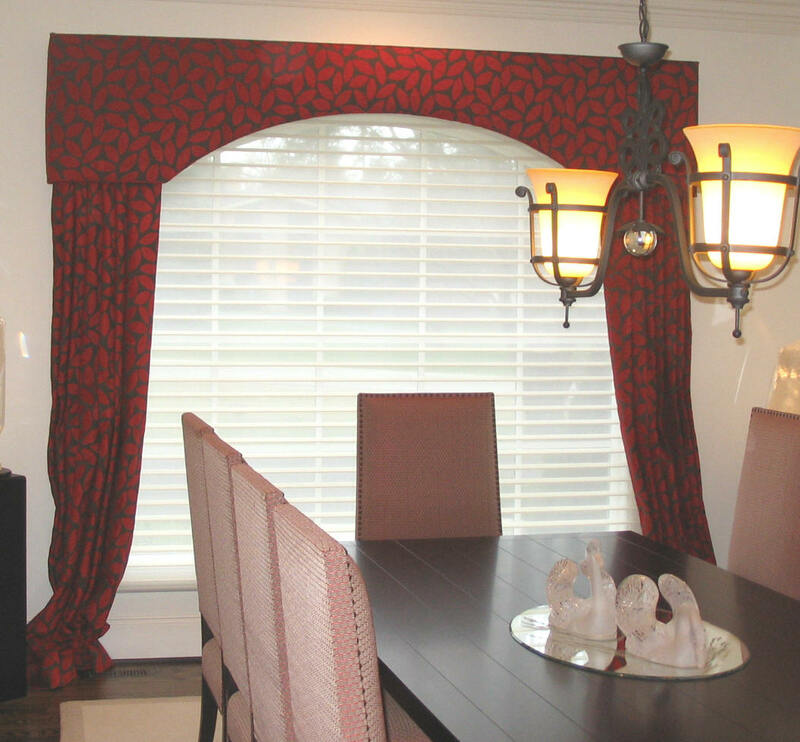 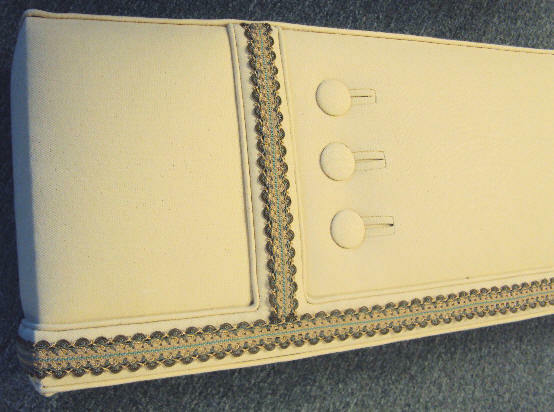 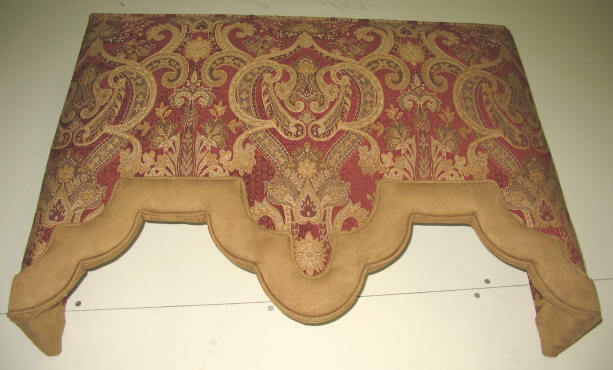 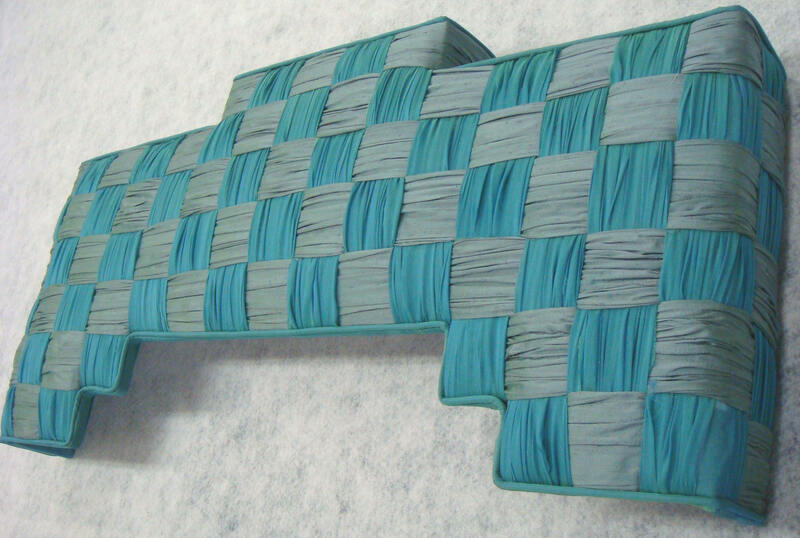 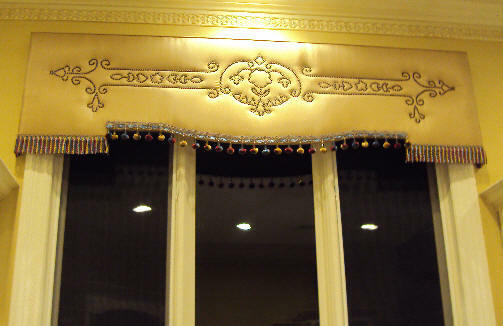 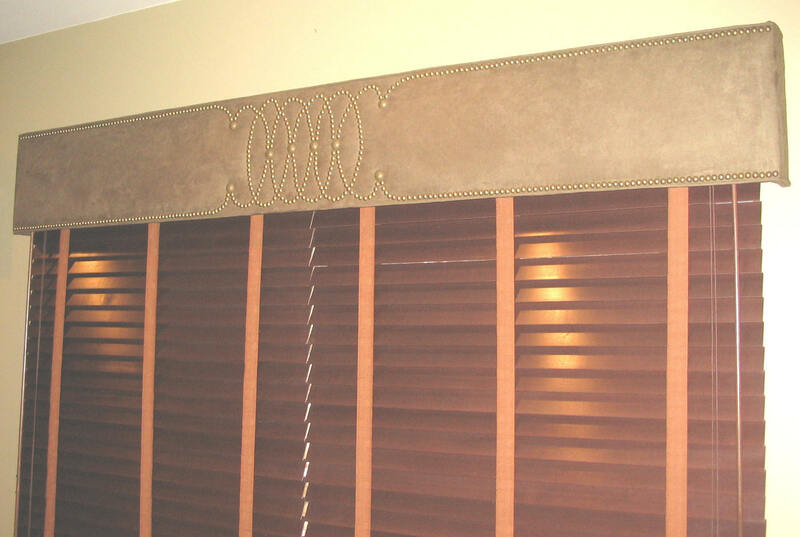 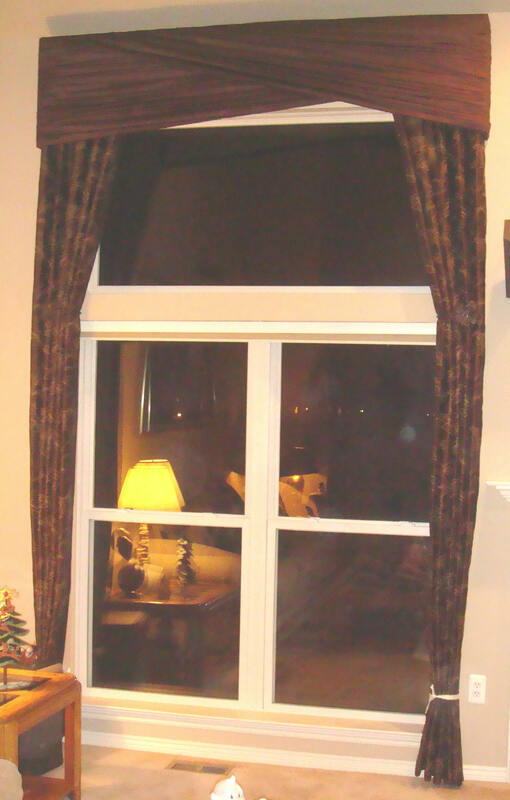 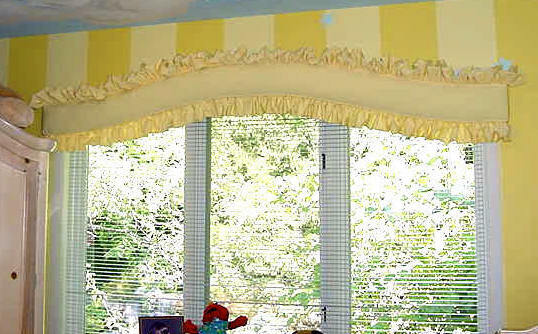 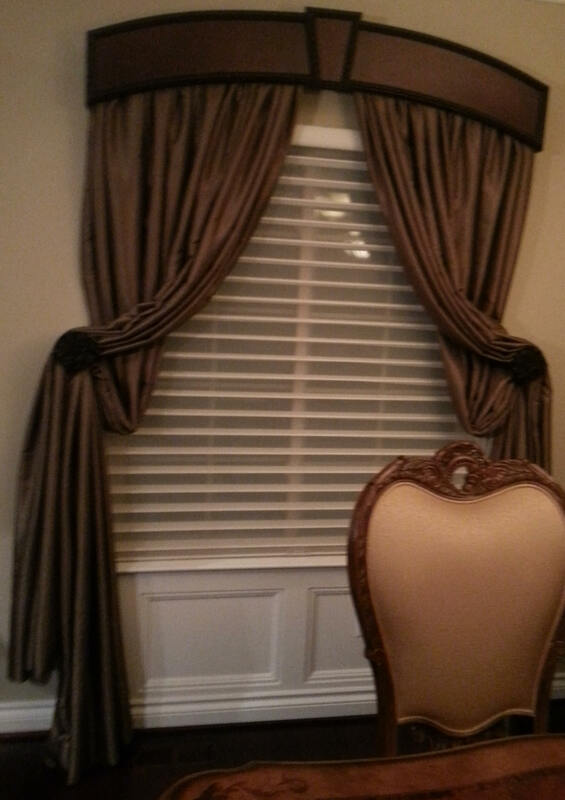 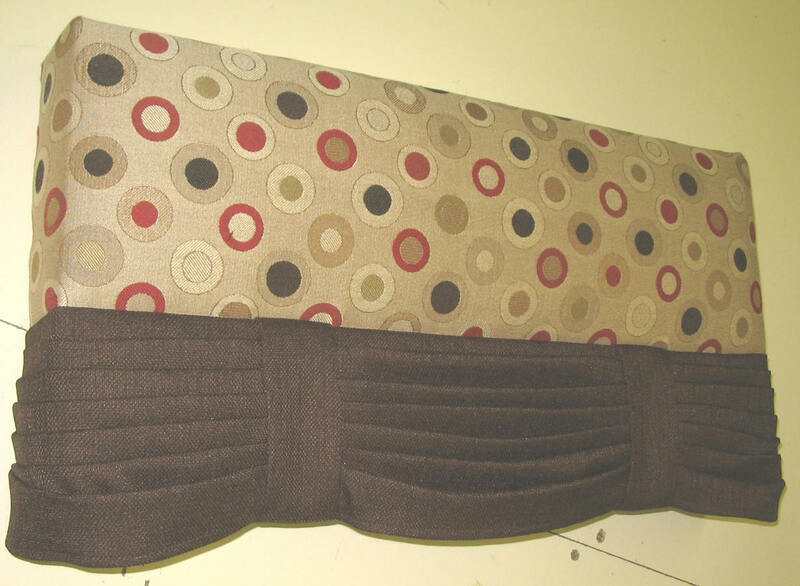 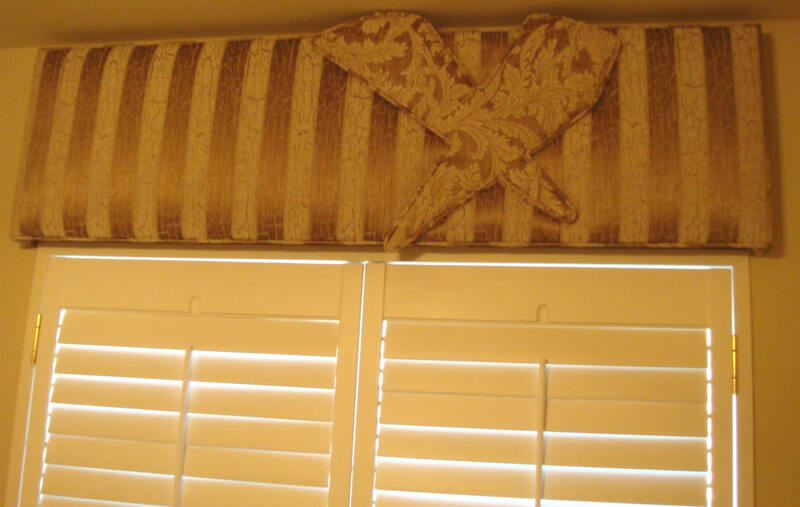 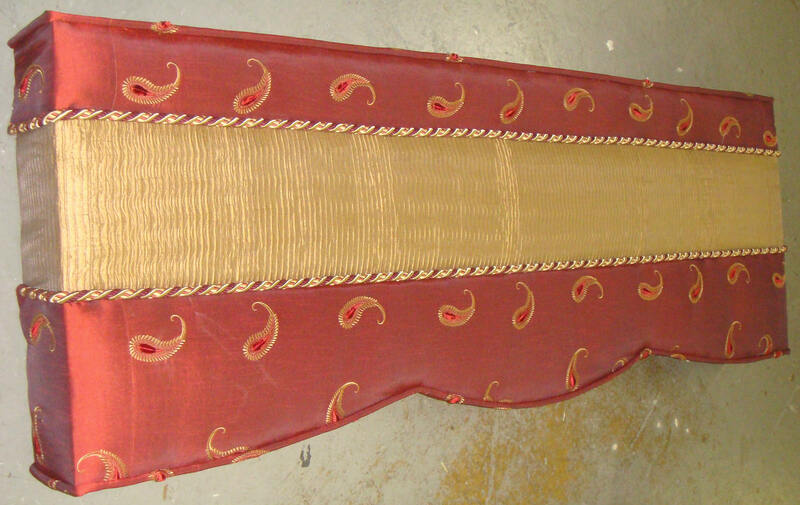 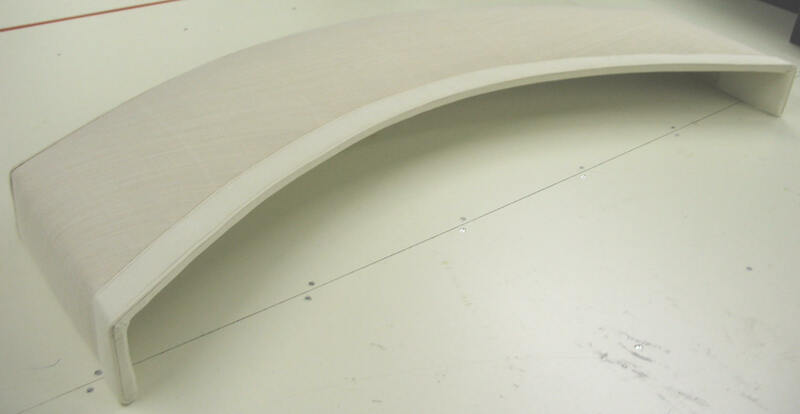 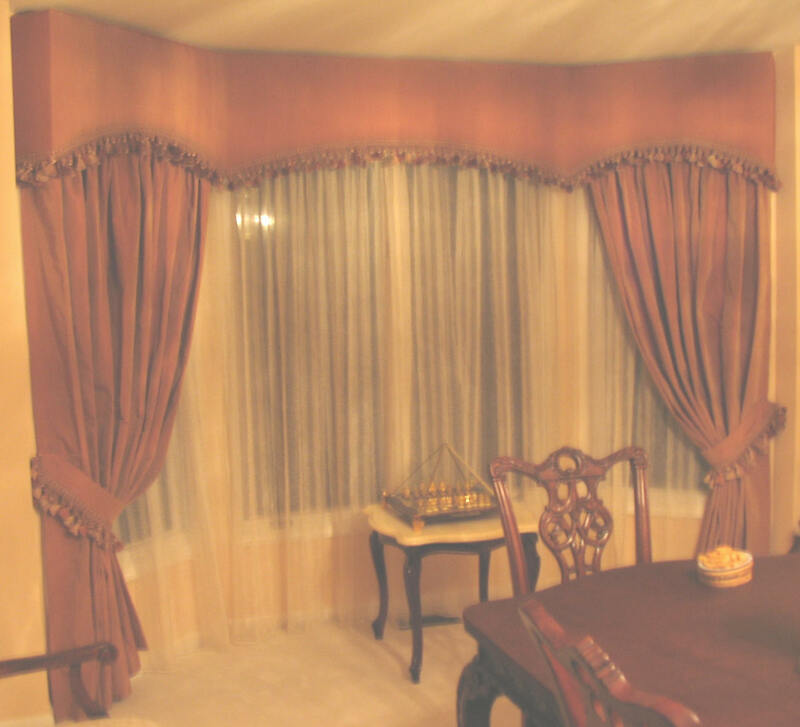 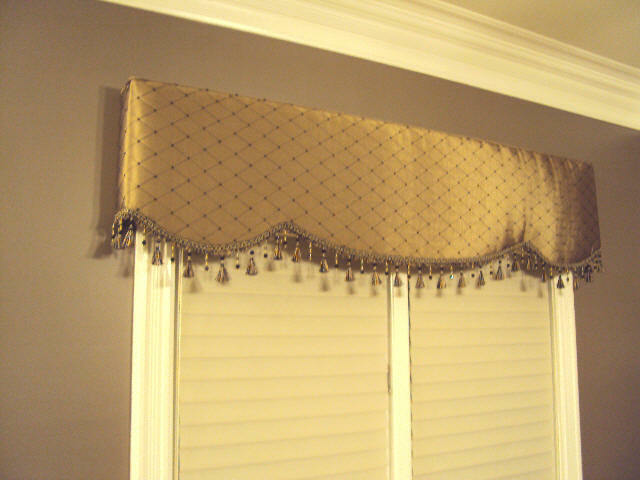 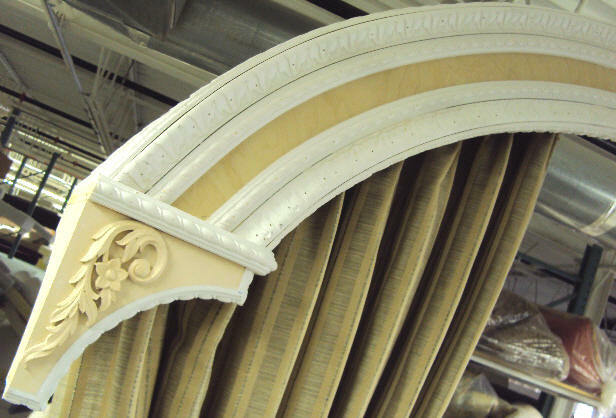 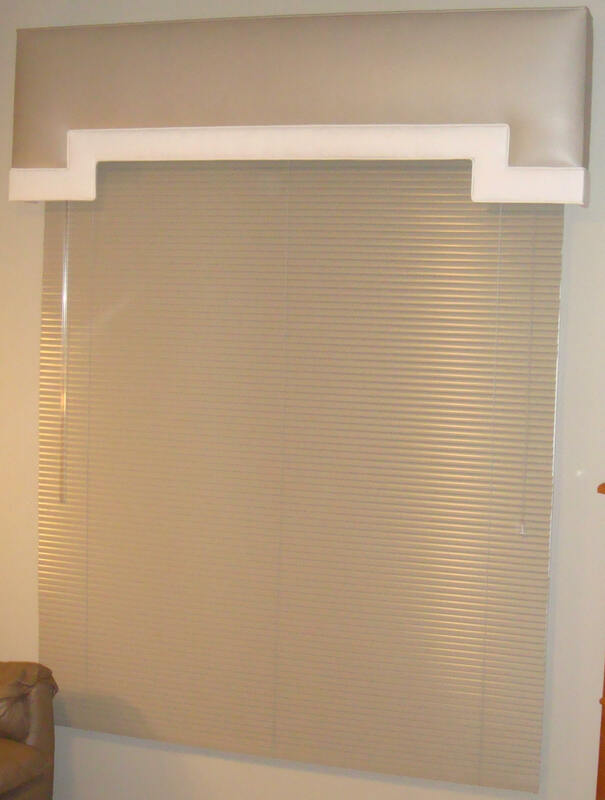 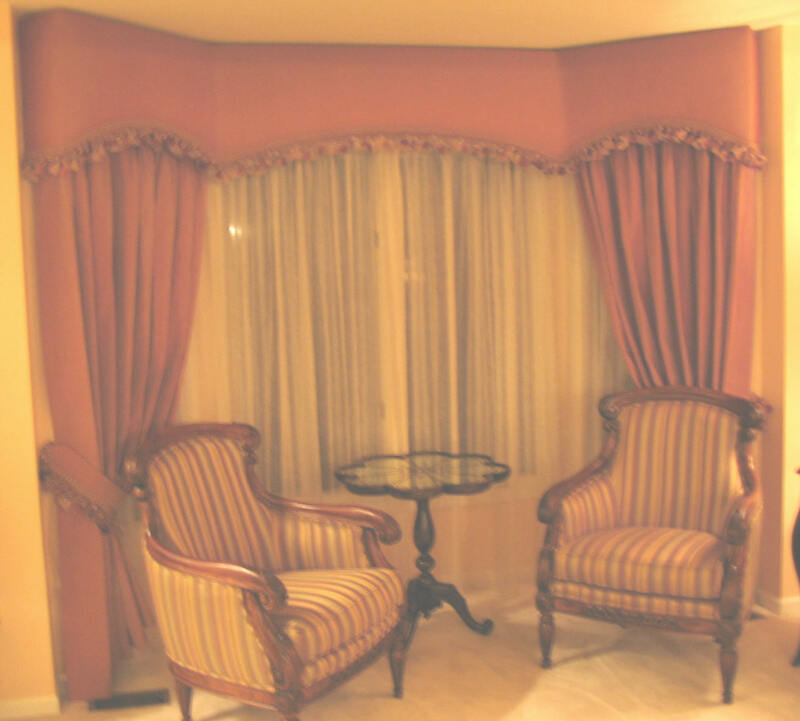 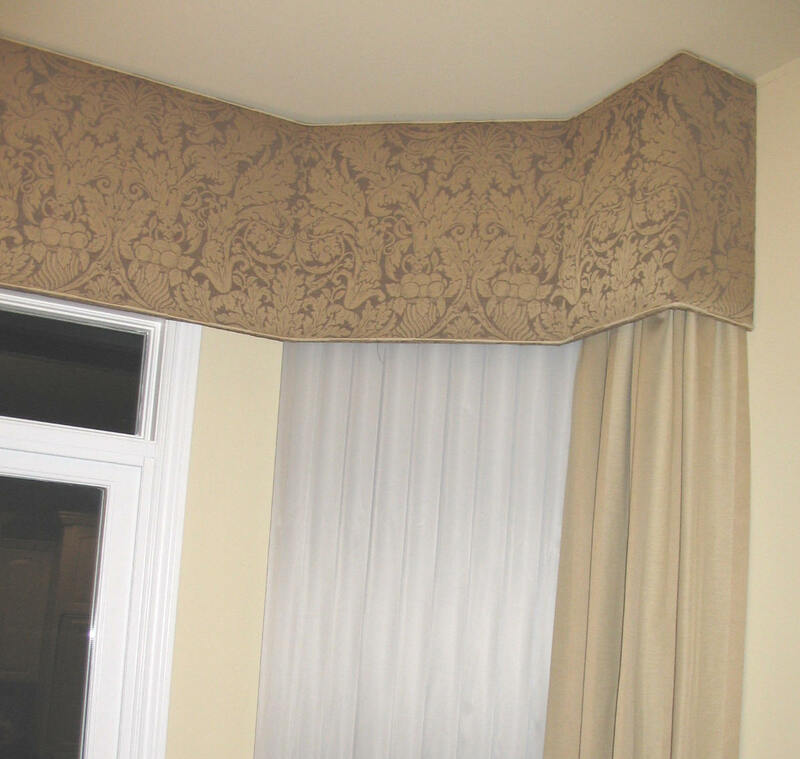 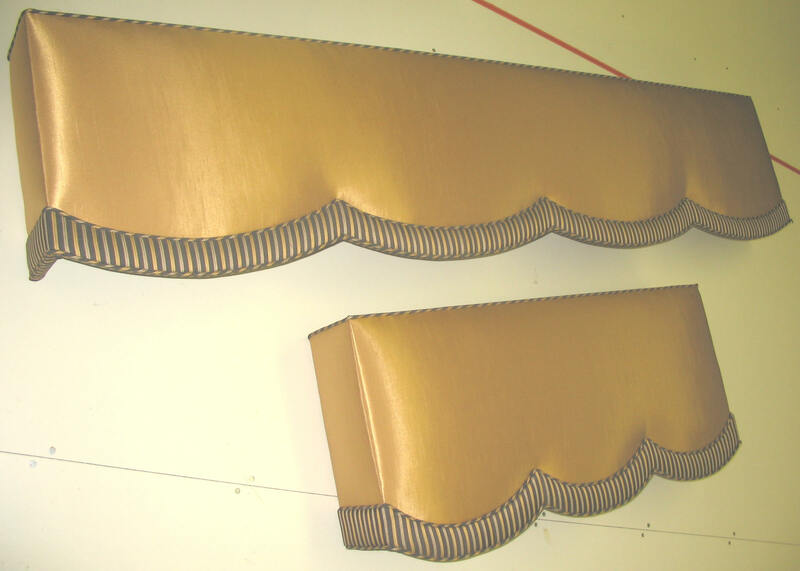 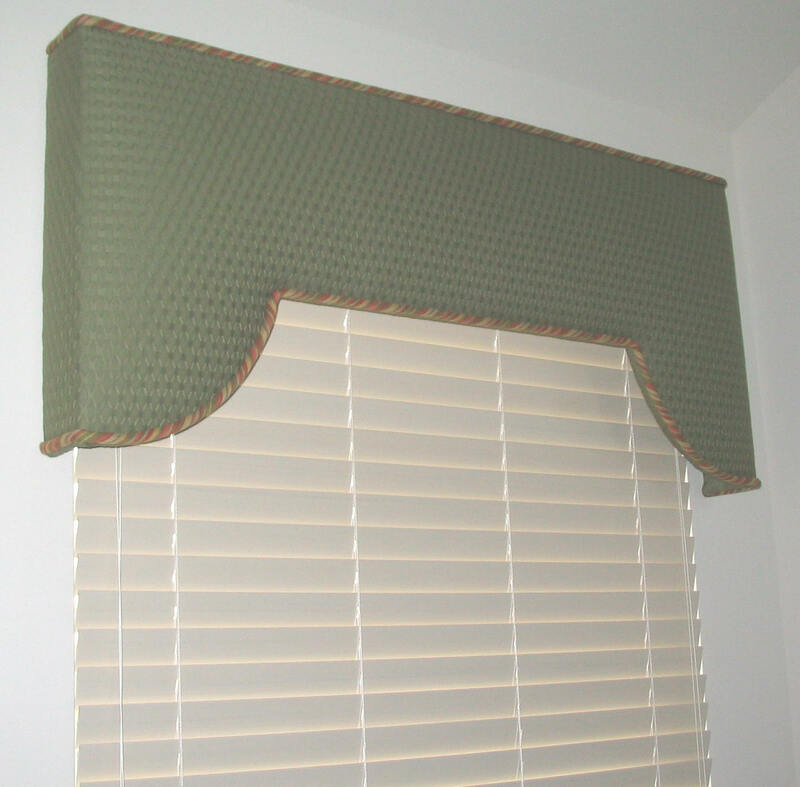 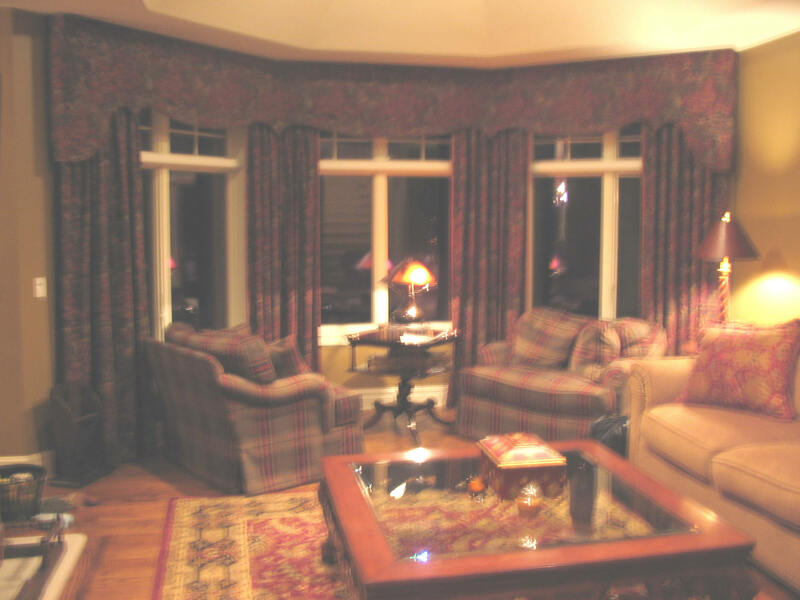 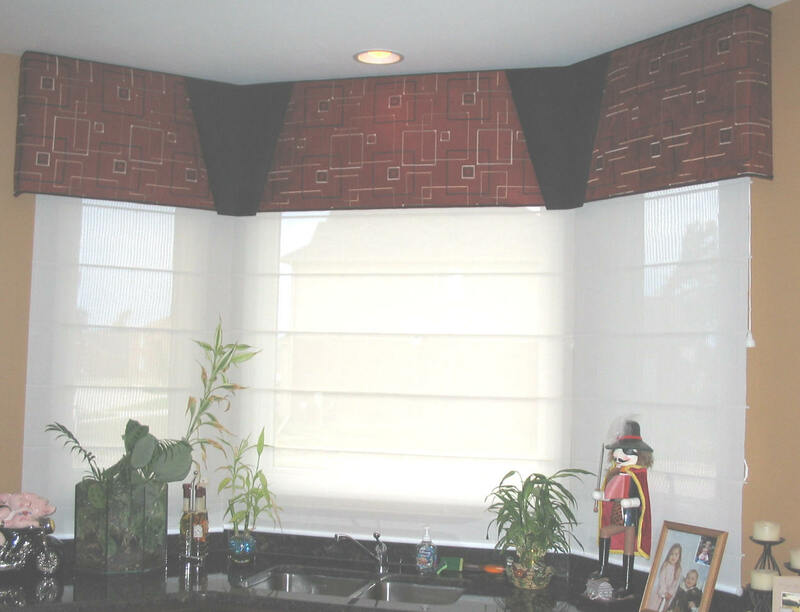 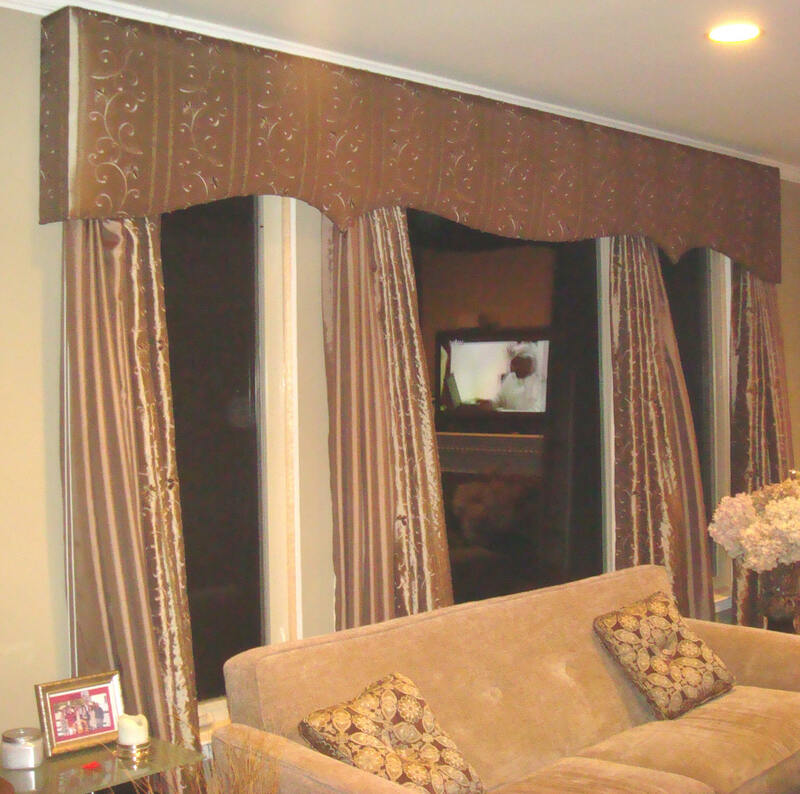 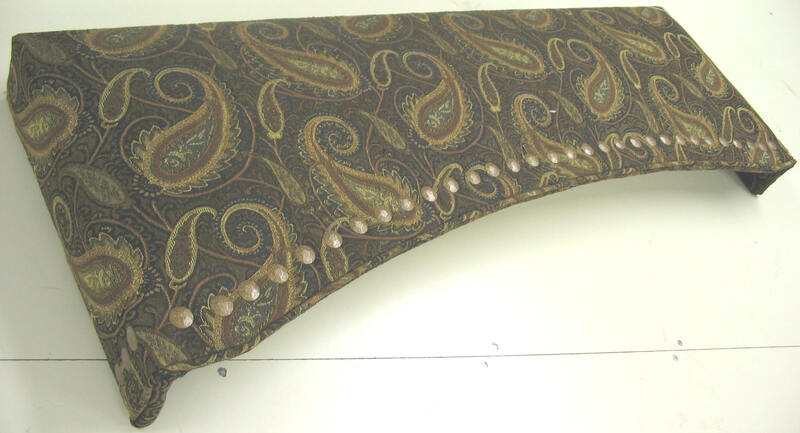 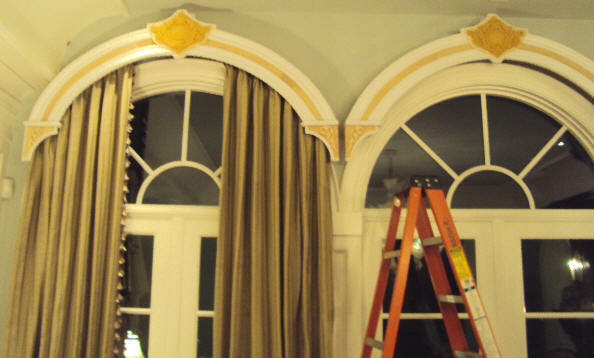 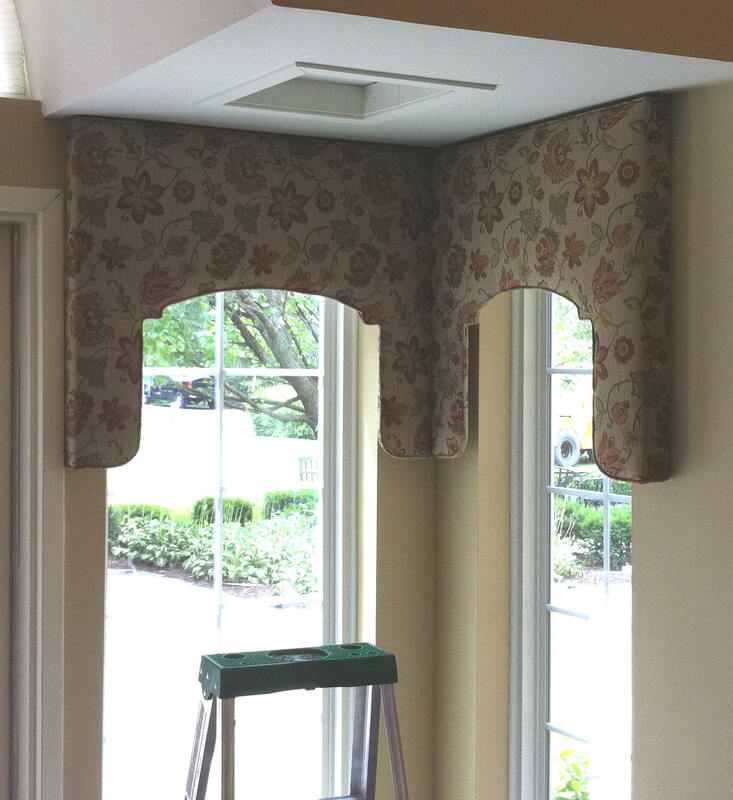 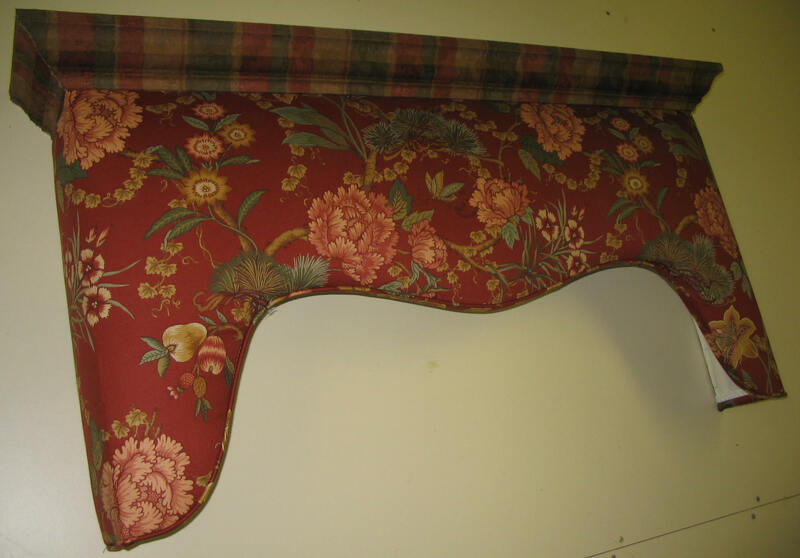 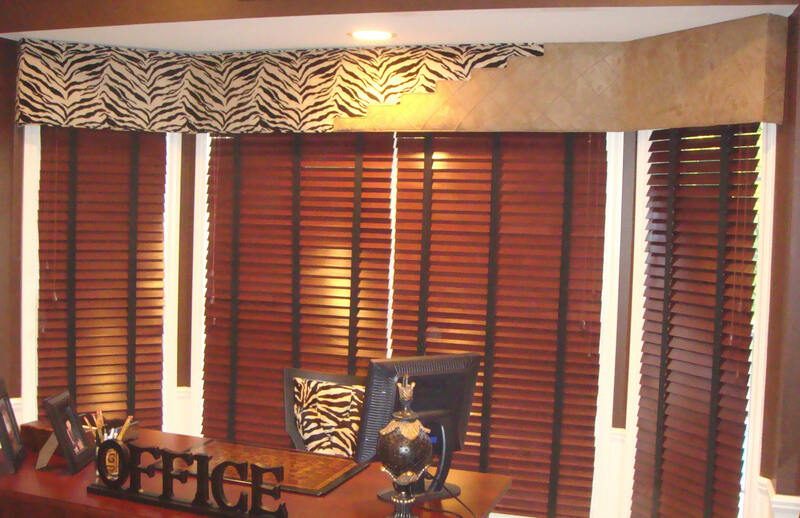 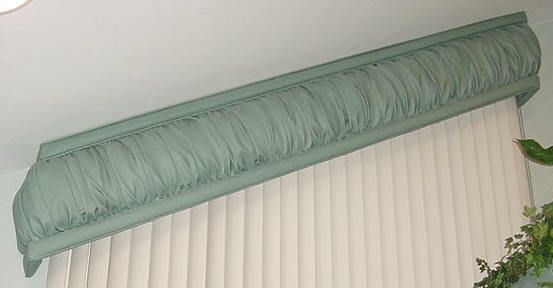 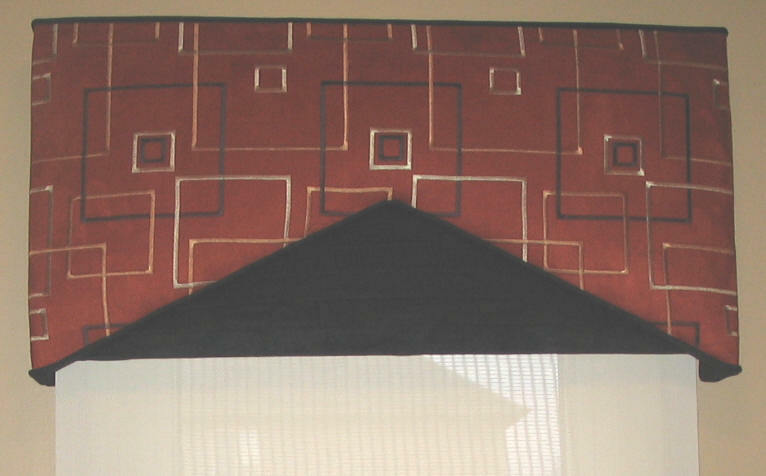 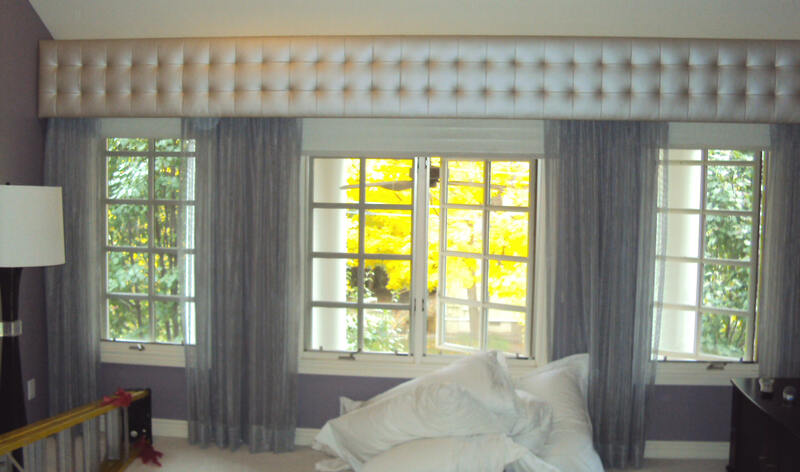 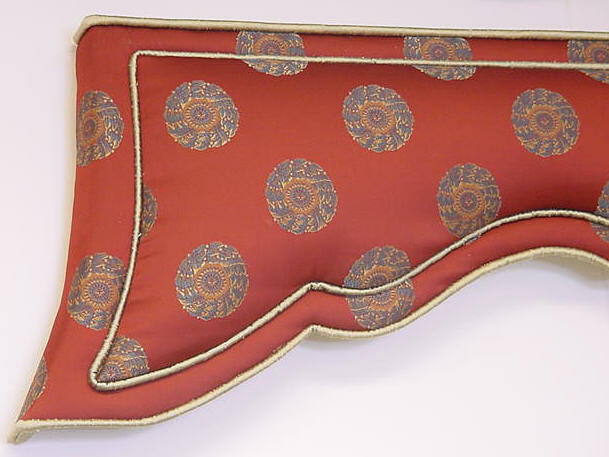 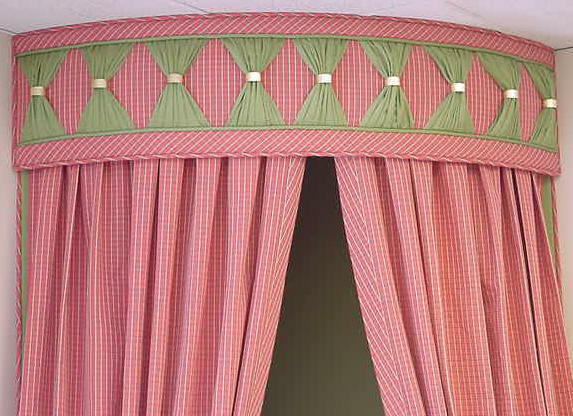 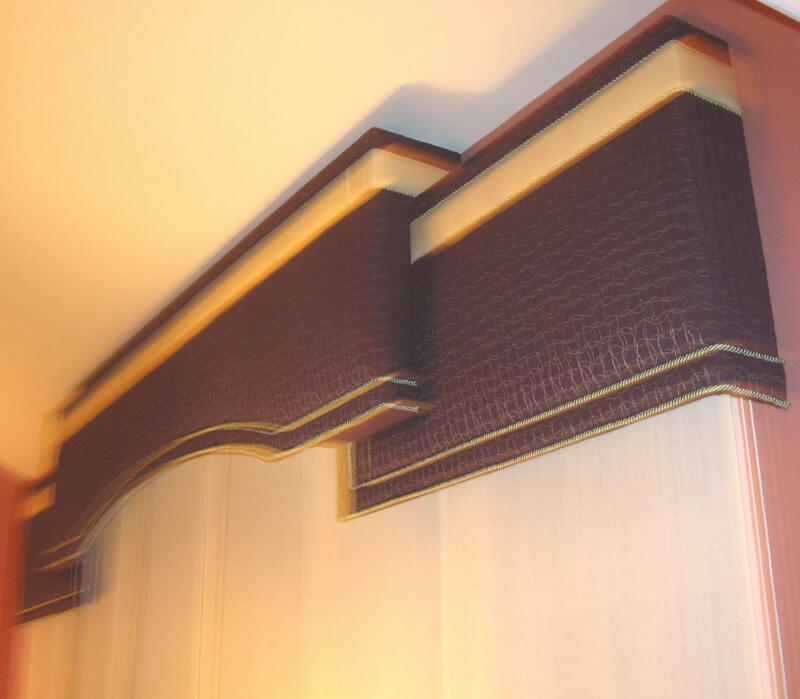 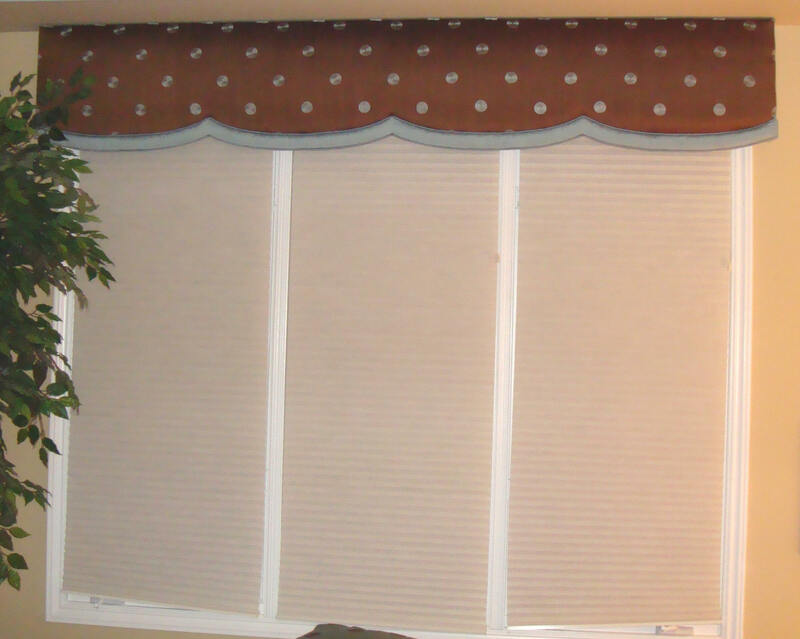 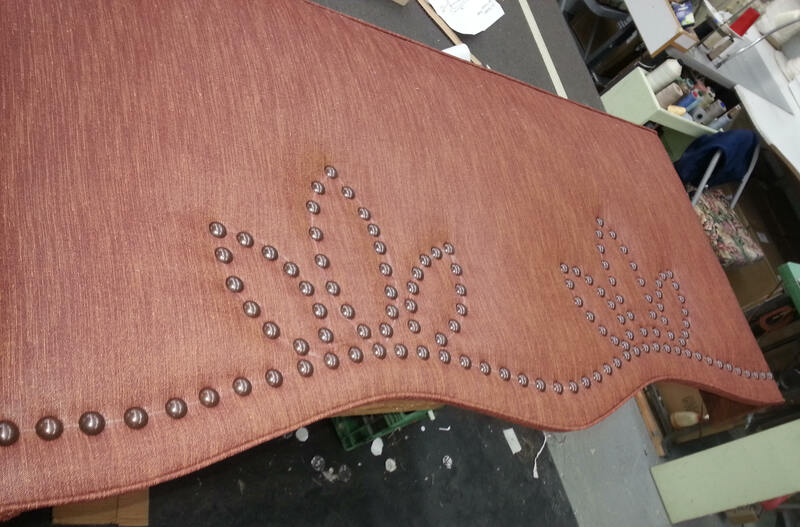 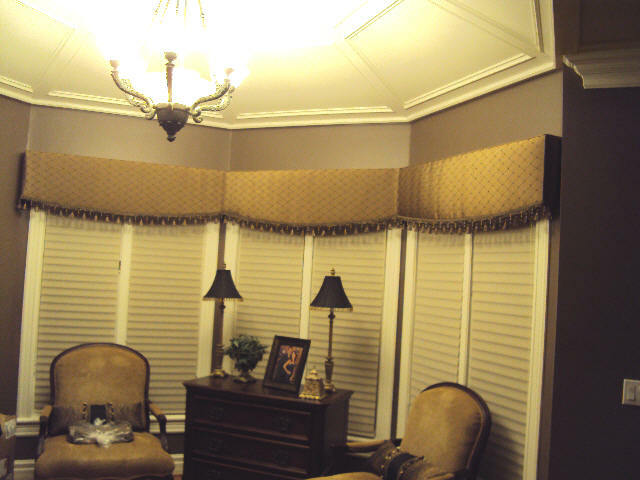 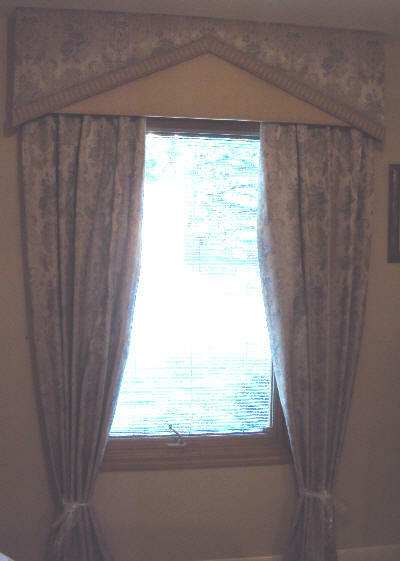 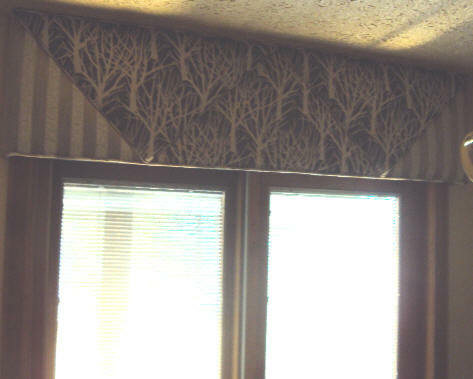 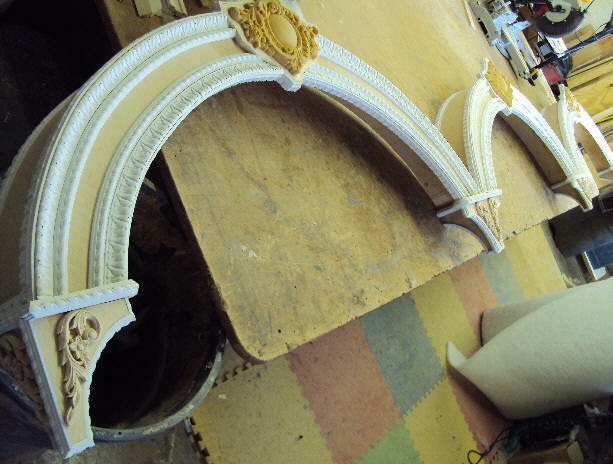 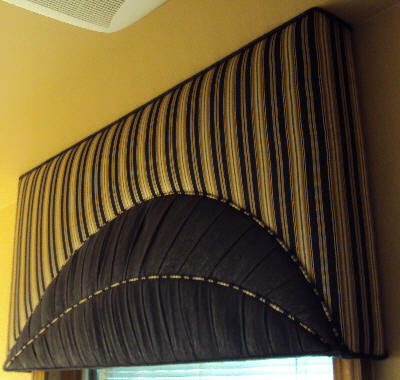 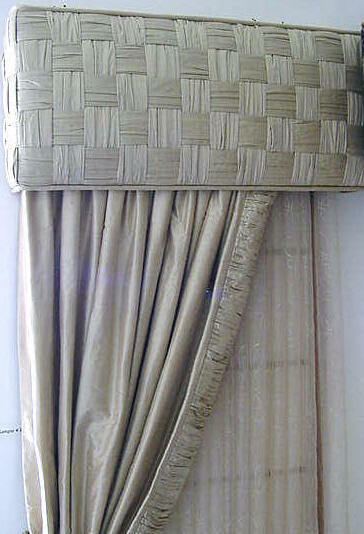 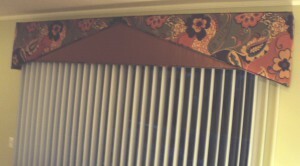 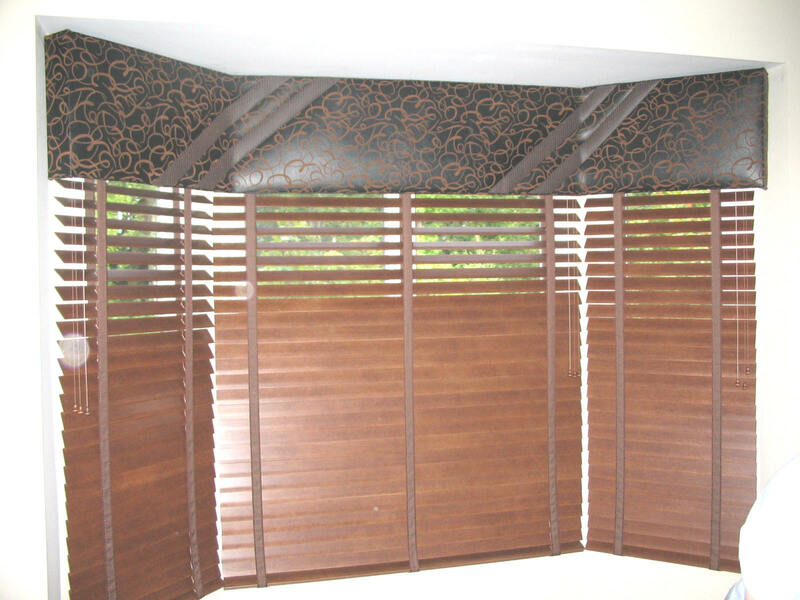 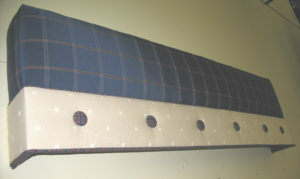 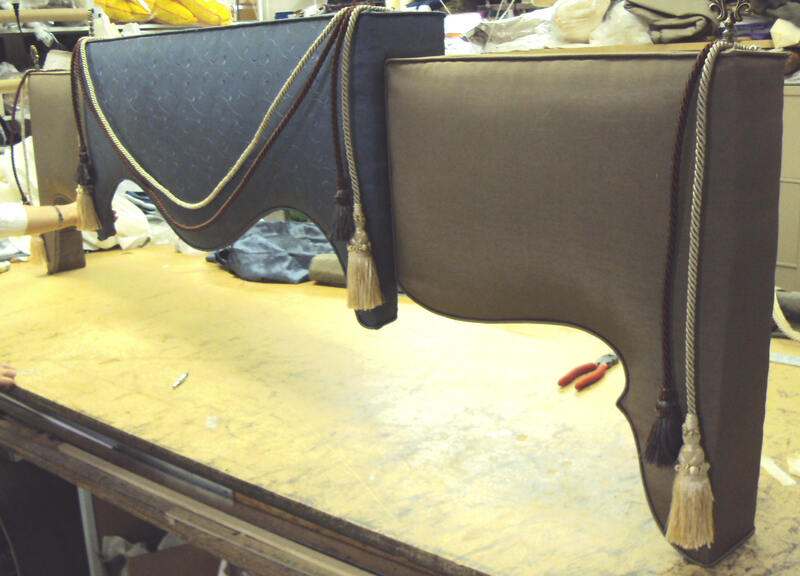 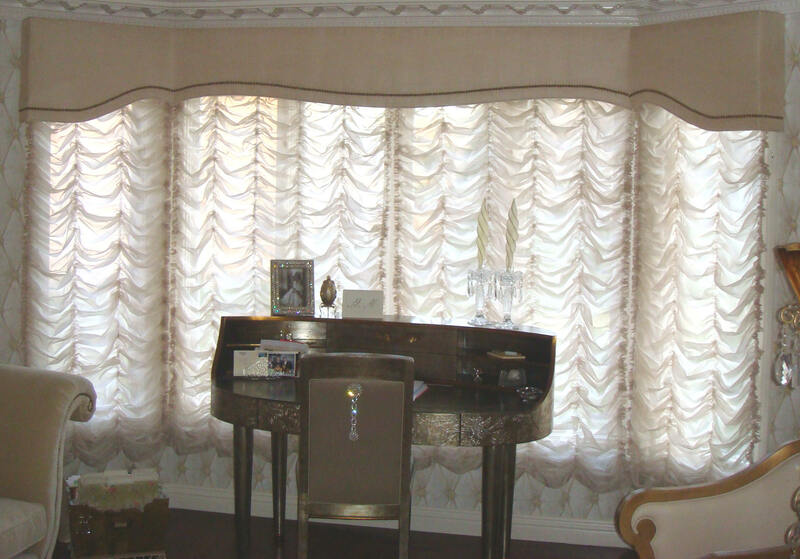 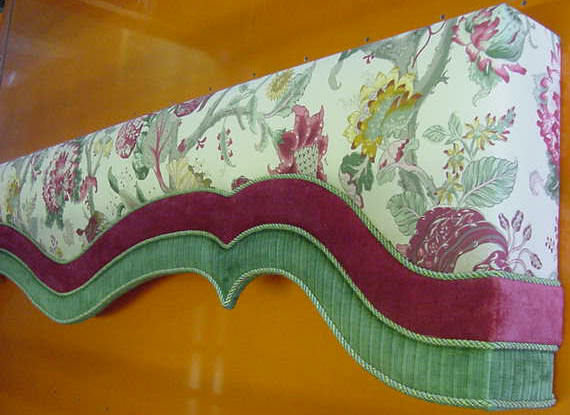 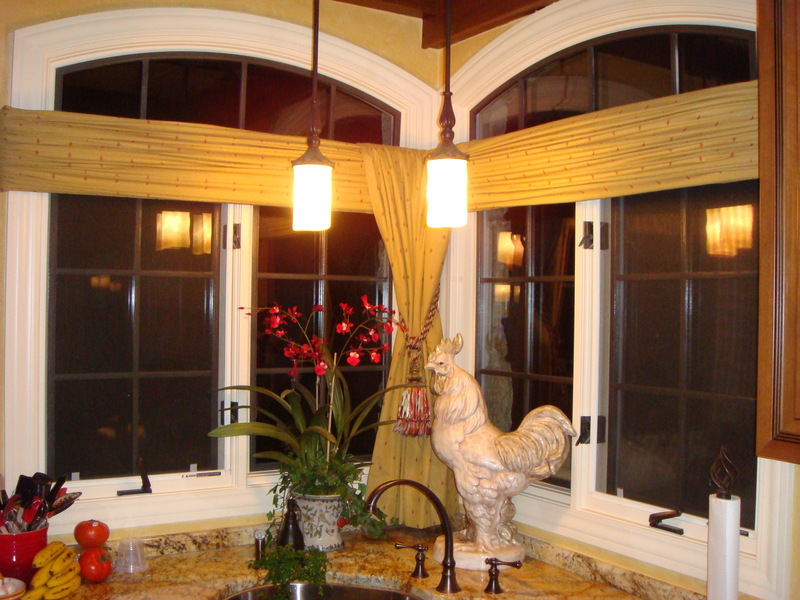 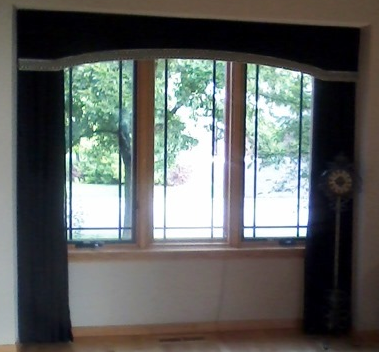 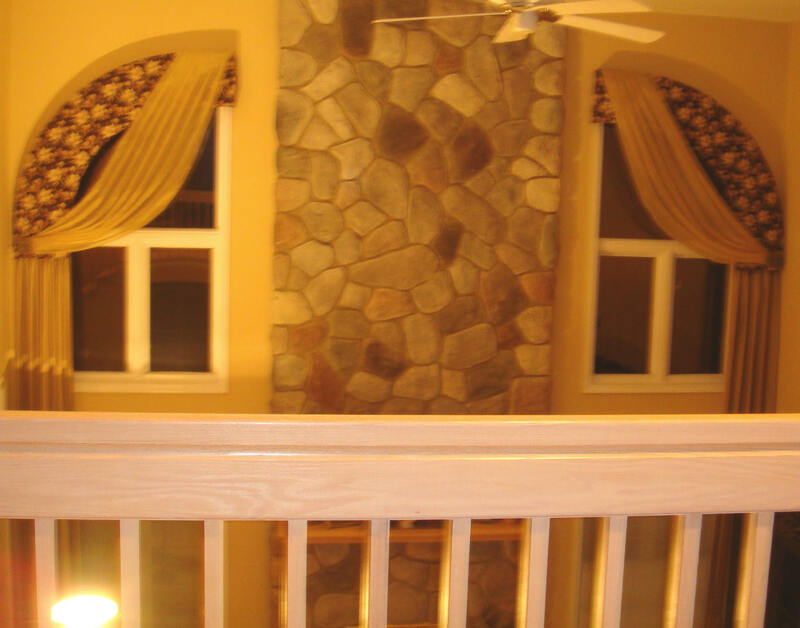 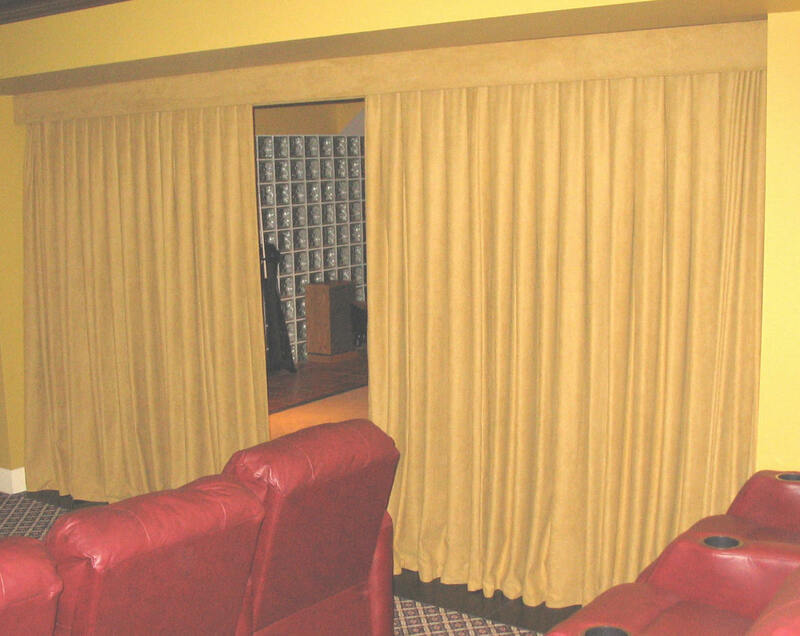 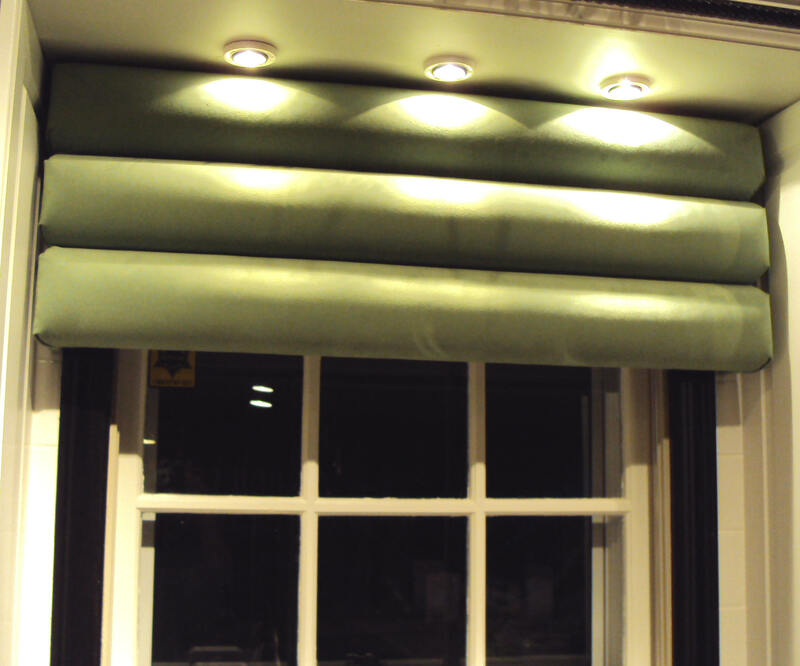 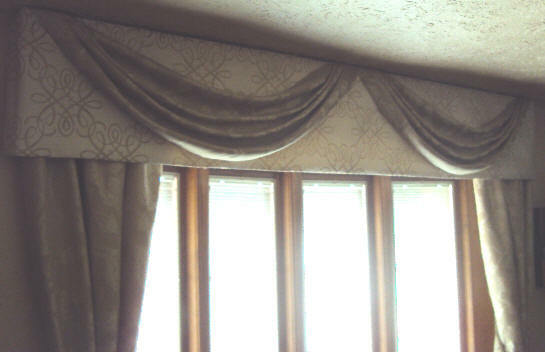 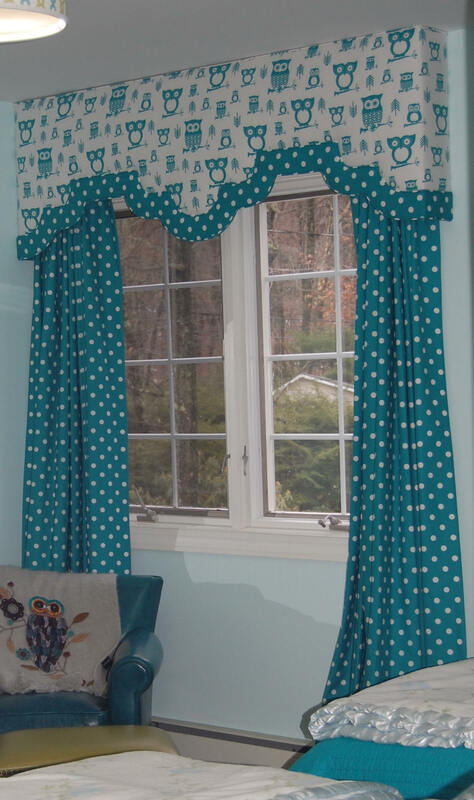 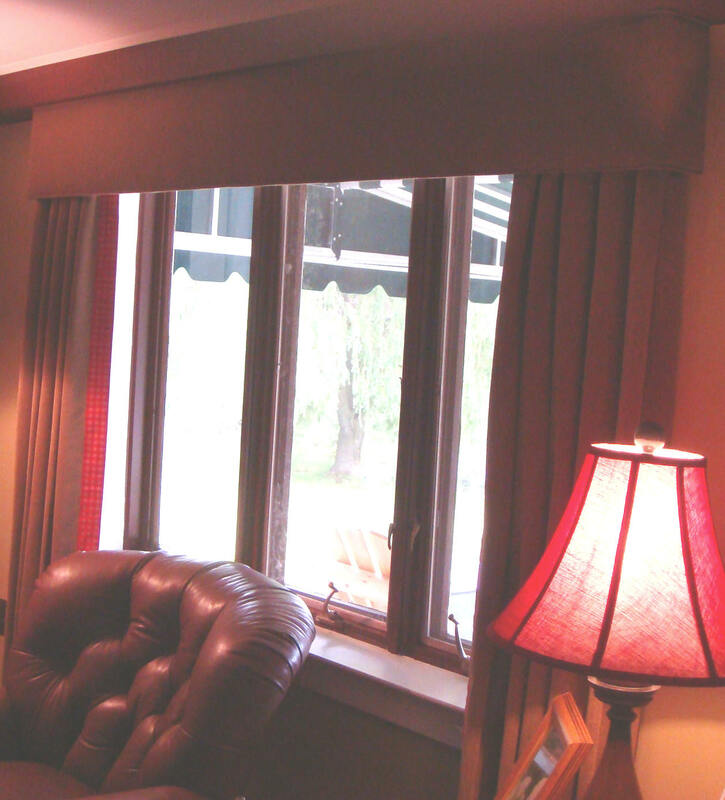 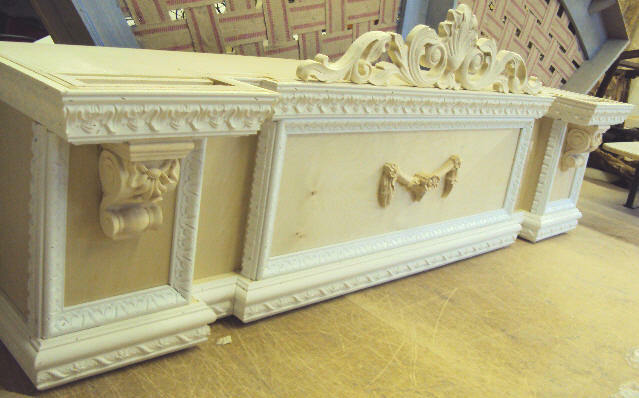 We make bay window cornices, soft valances and we manufacture custom drapery panels. 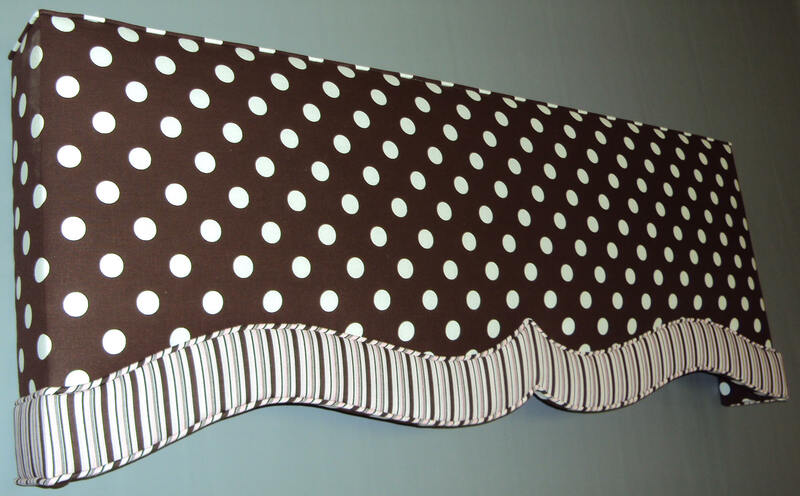 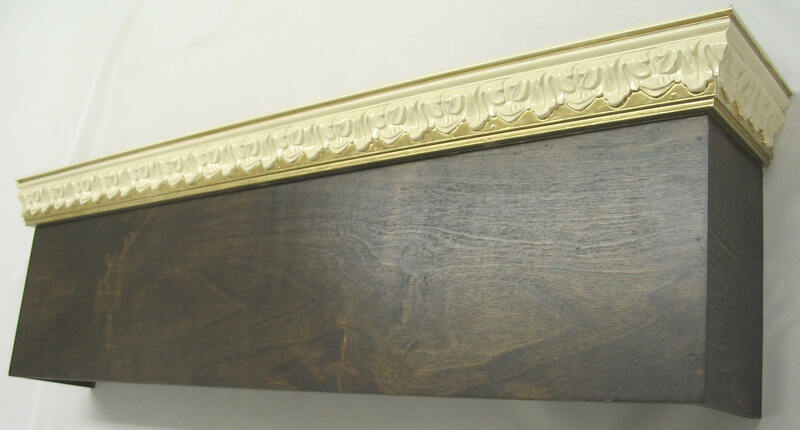 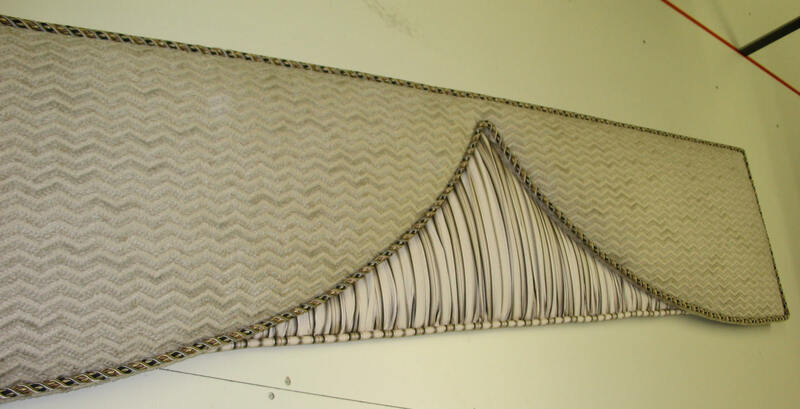 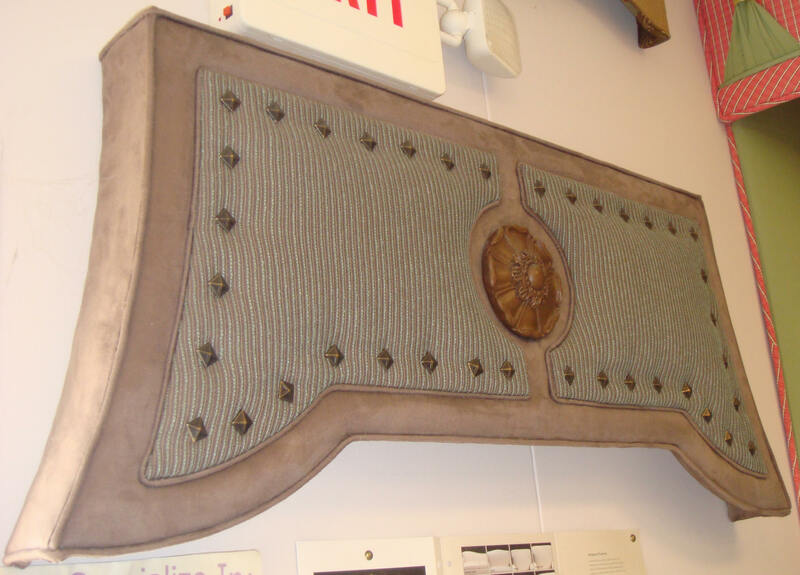 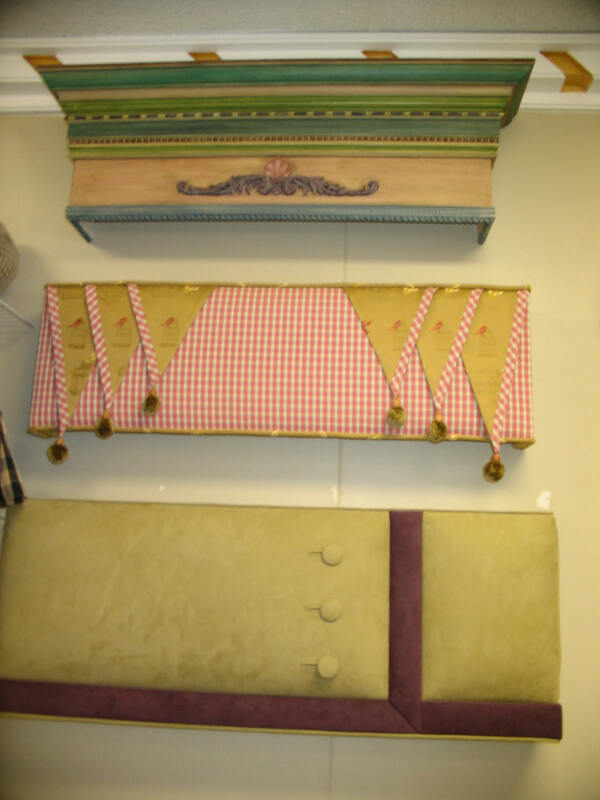 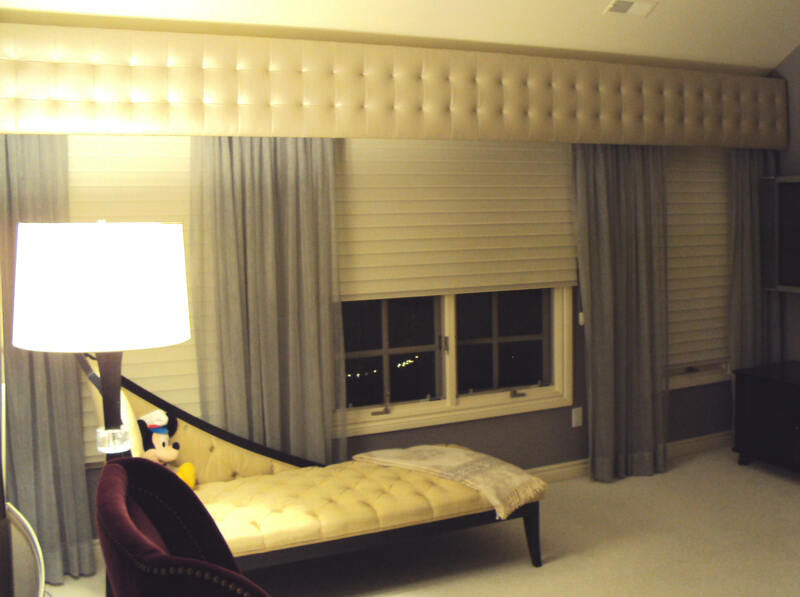 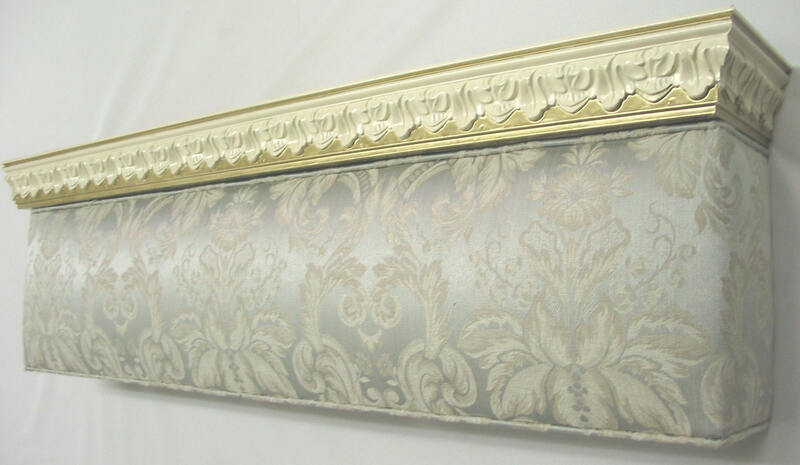 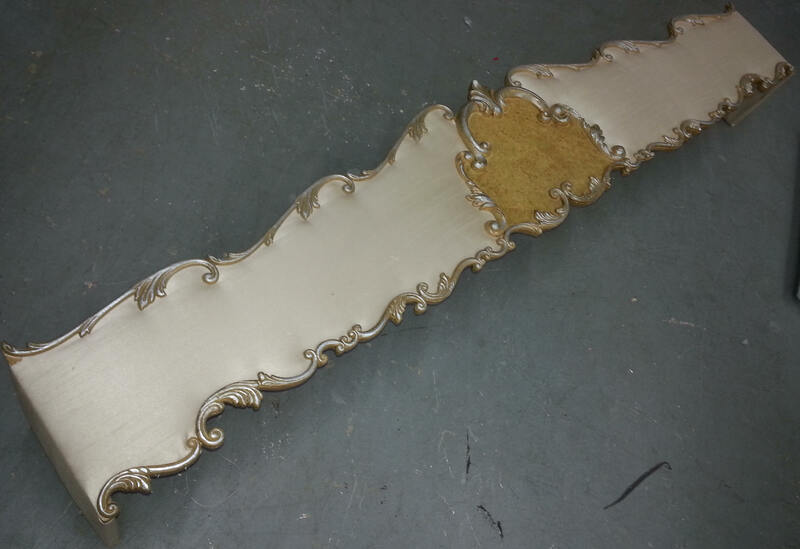 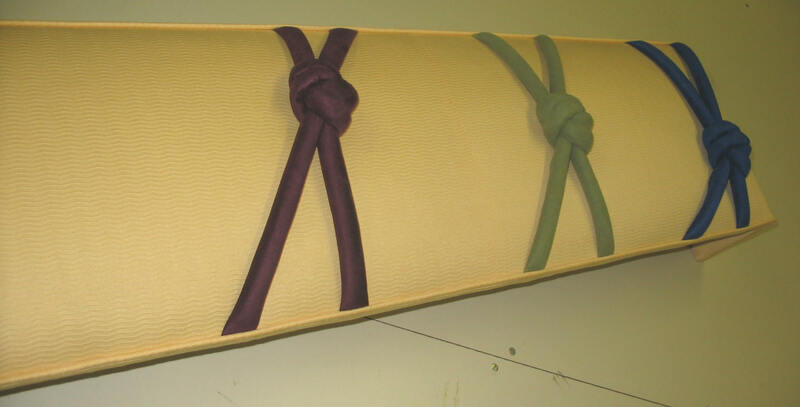 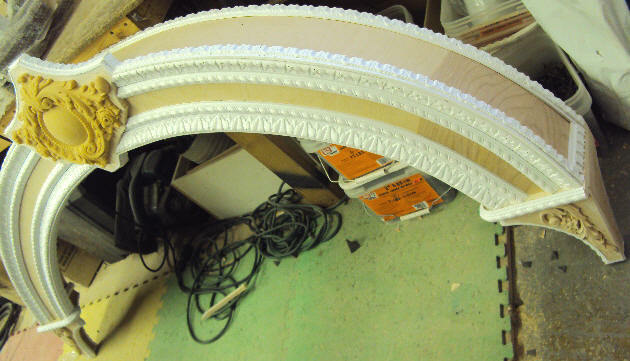 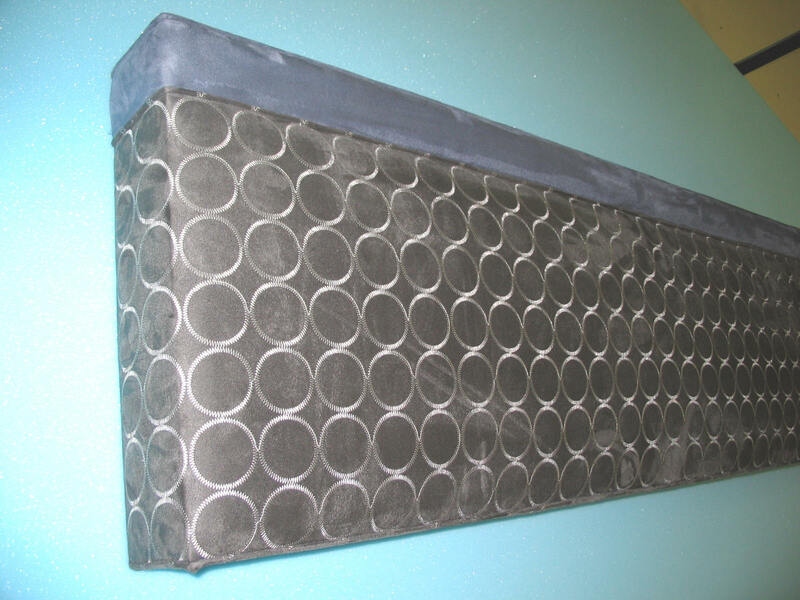 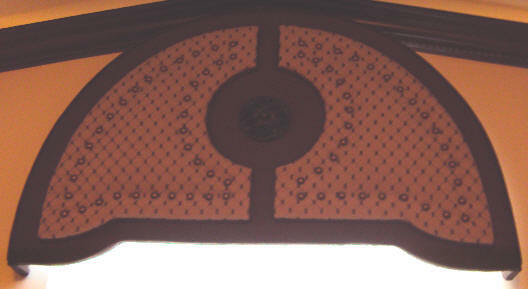 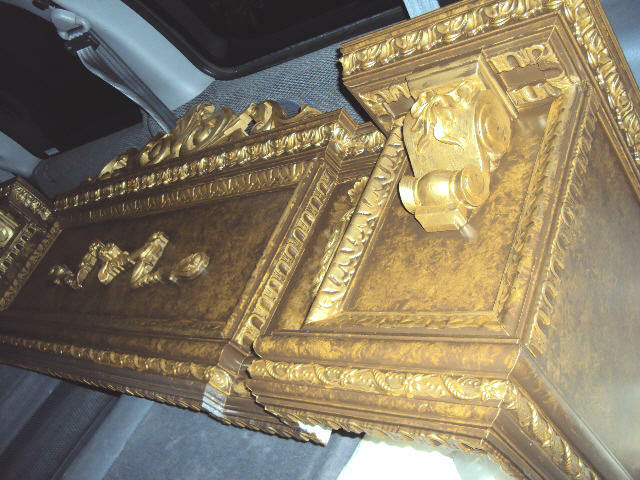 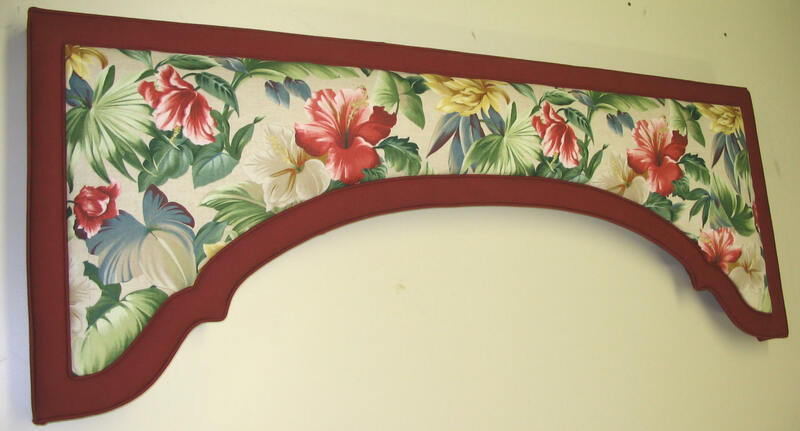 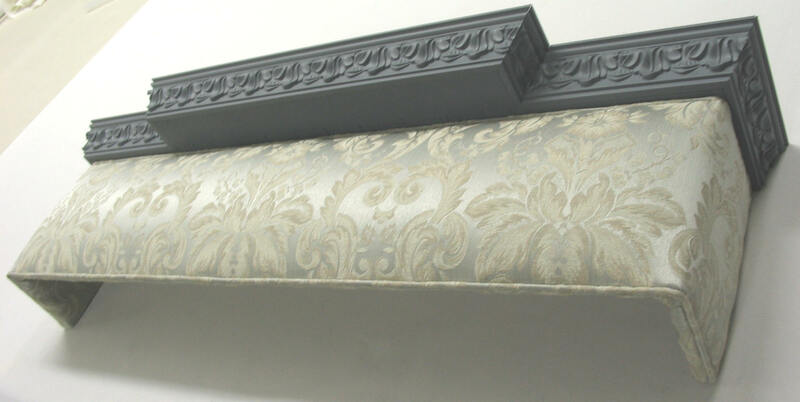 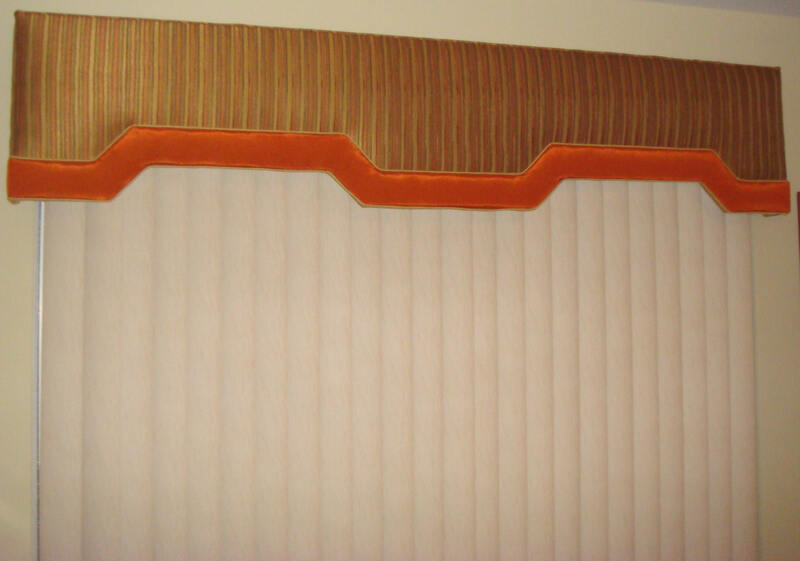 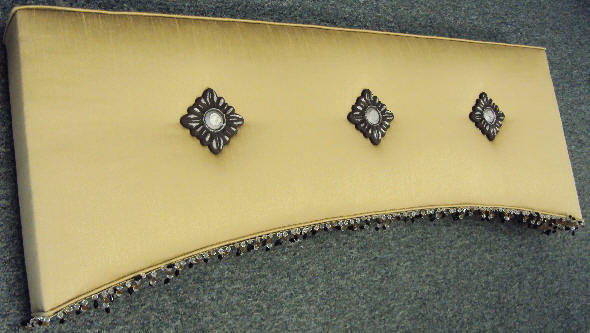 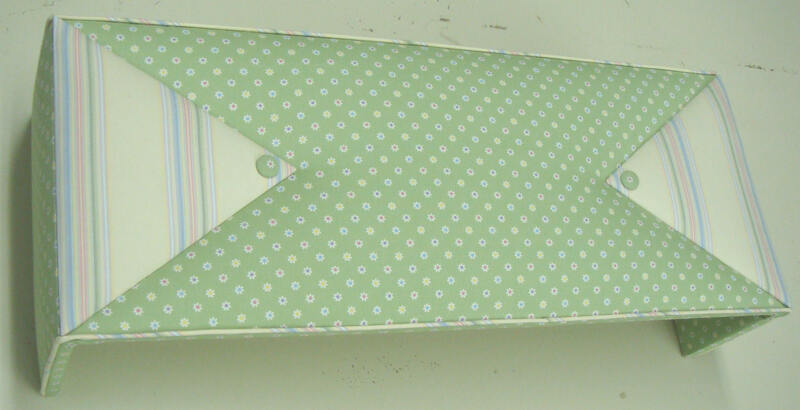 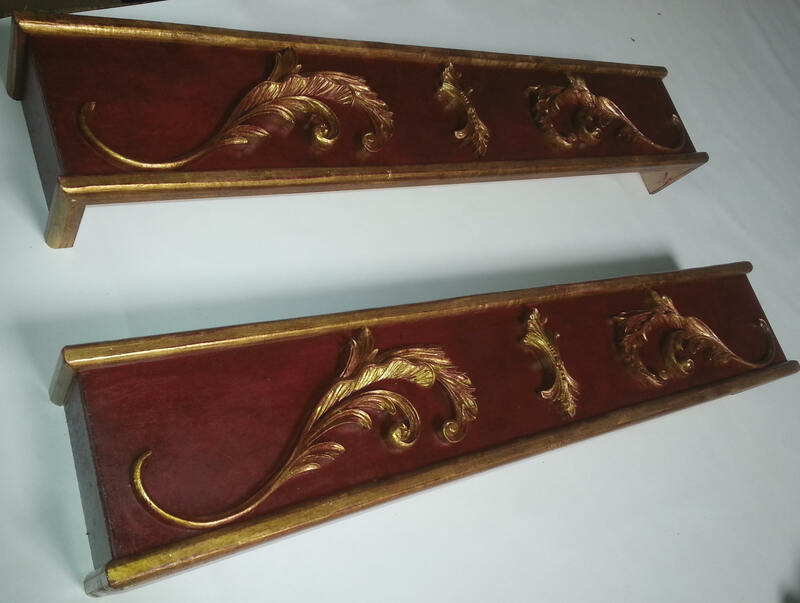 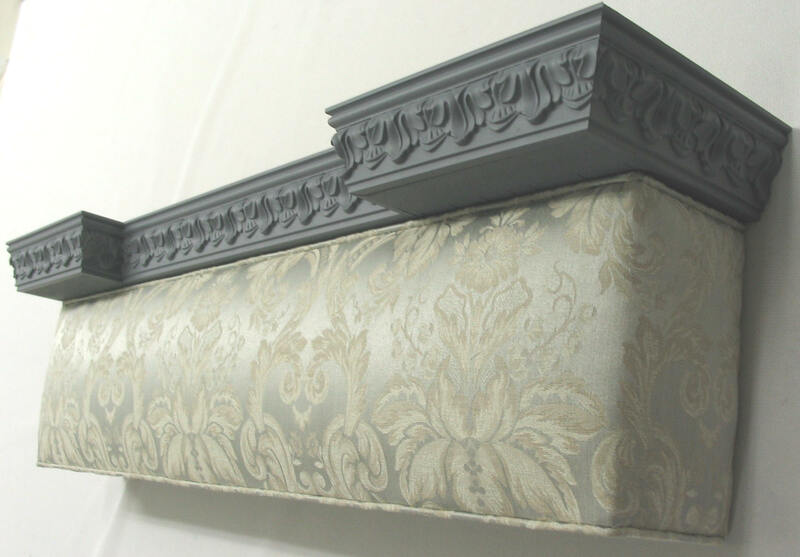 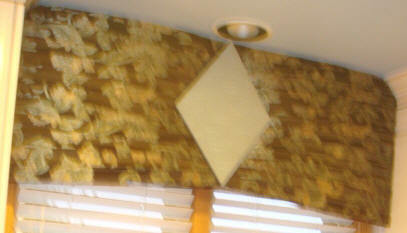 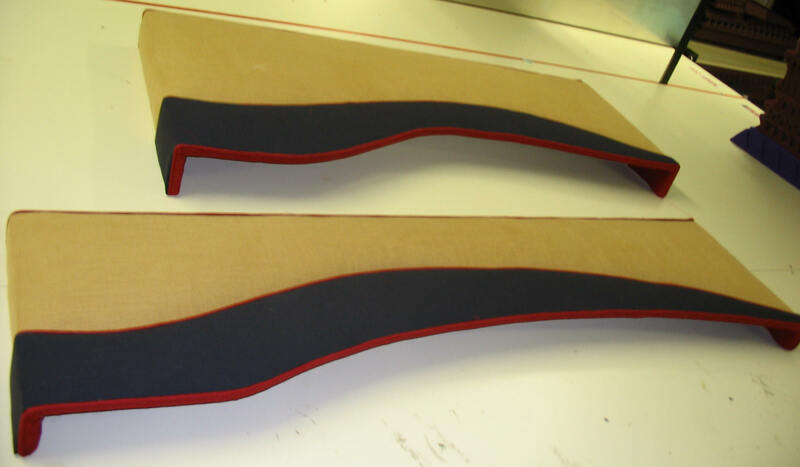 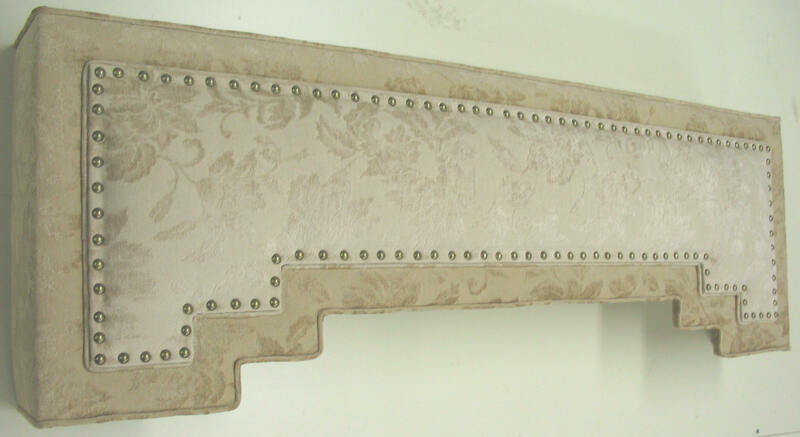 Custom upholstered Wood Frame Cornice Boards are a beautiful, inexpensive and an easy way to spice up any room. 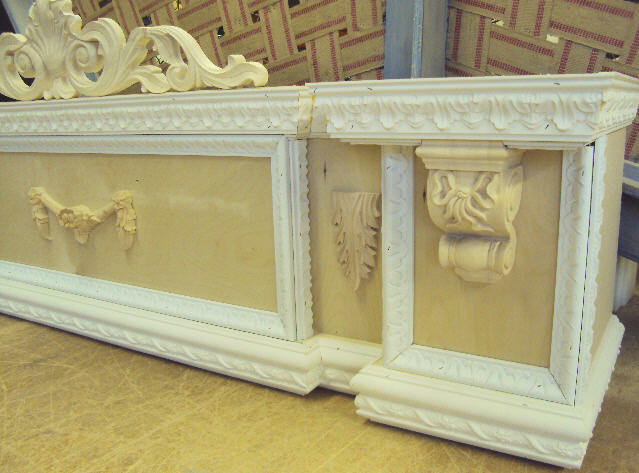 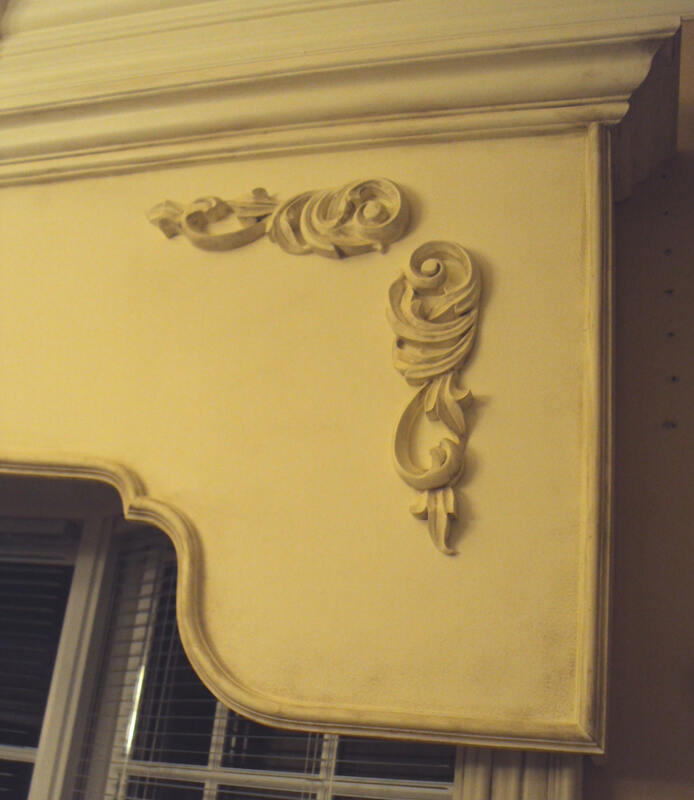 Create your Cornice in different styles. 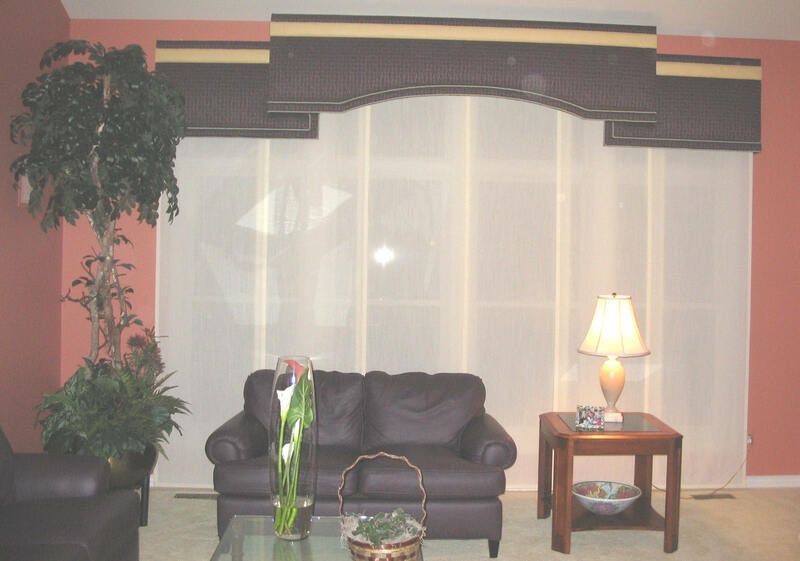 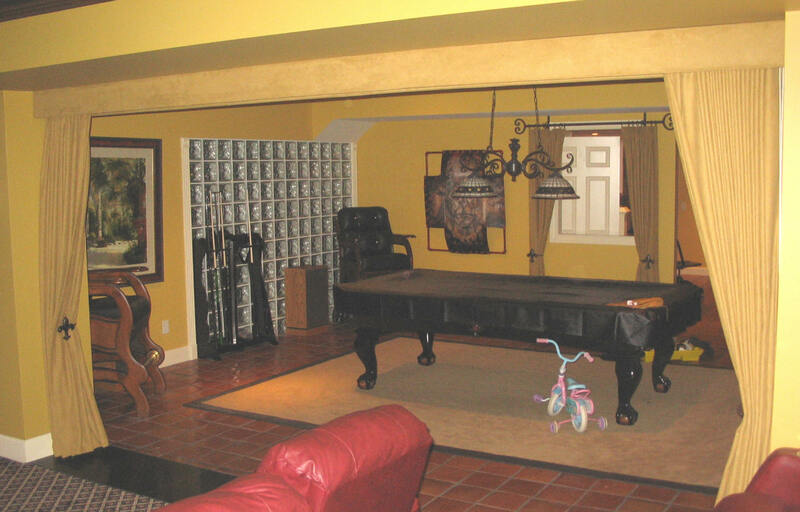 You can create an infinite variety of looks to fit any room! 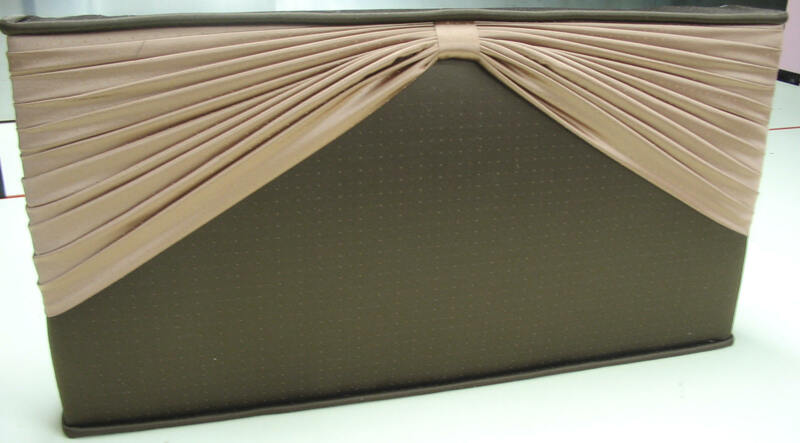 Create your own stunning presentation and fashionable look. 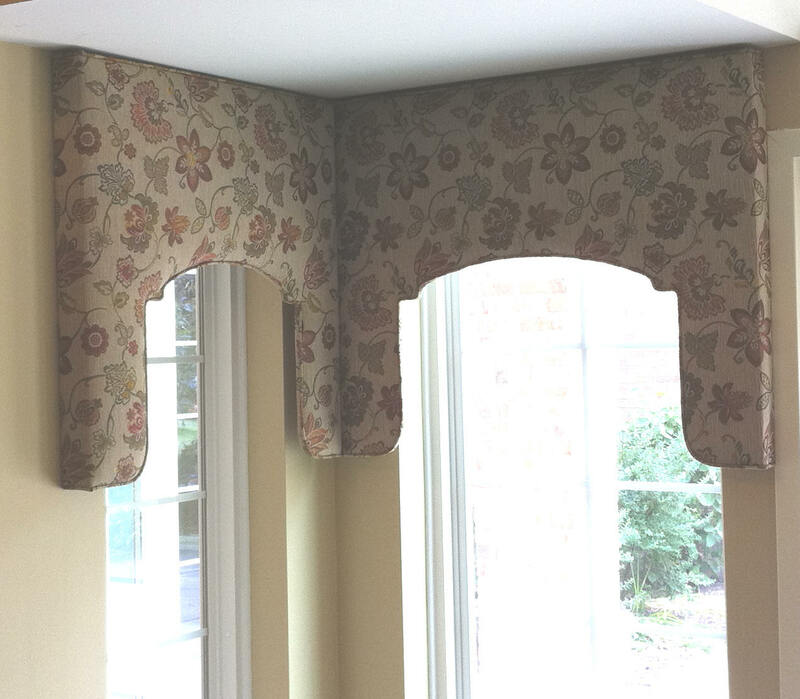 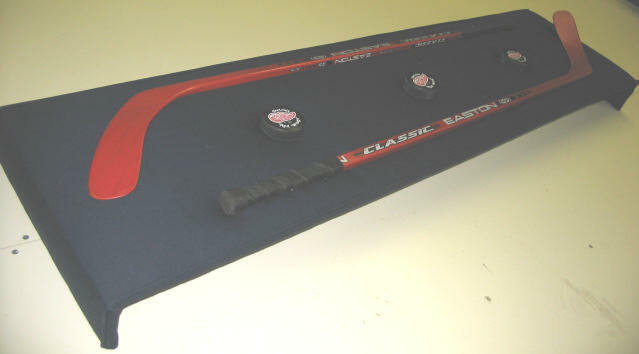 Please note: 4-1/2ft is the minimum cost. 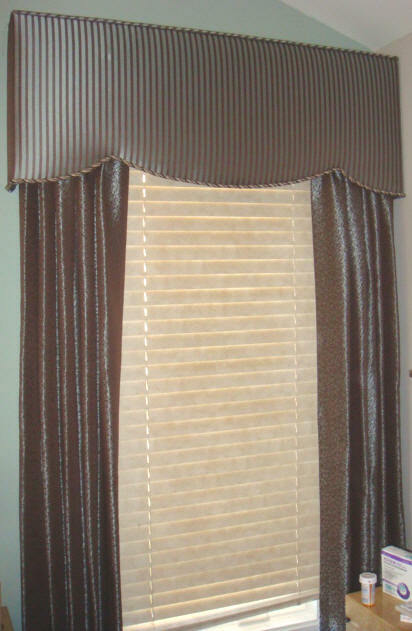 The Prices listed are per ft. with Wood with Dacron Batting Only! 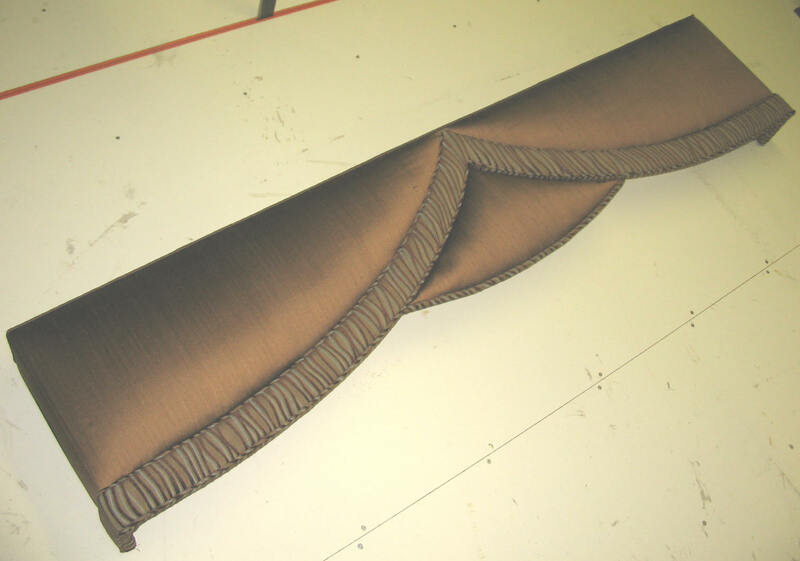 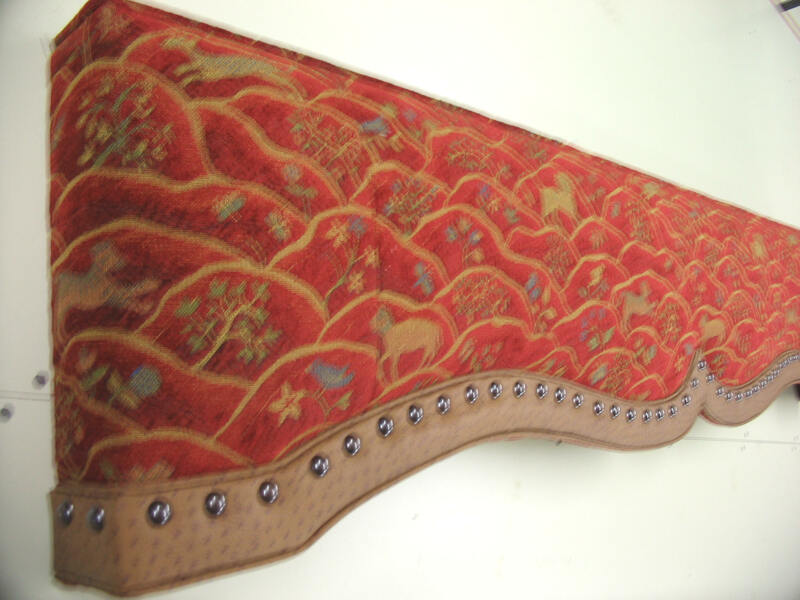 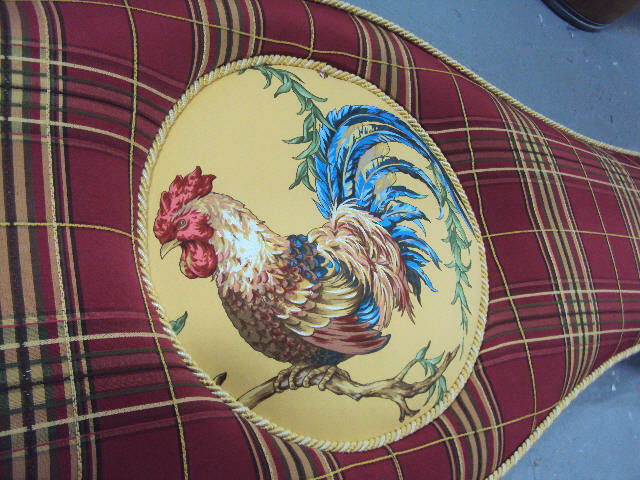 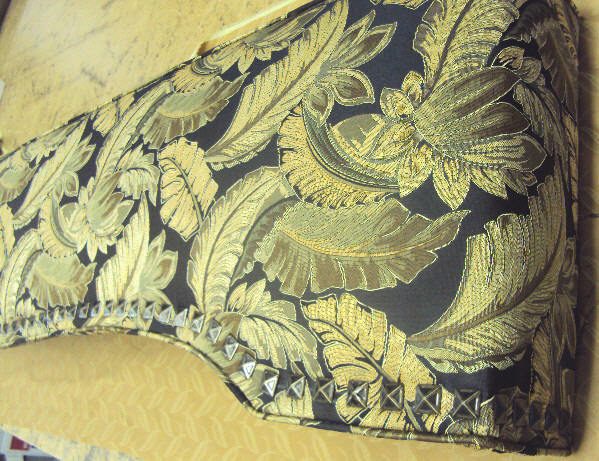 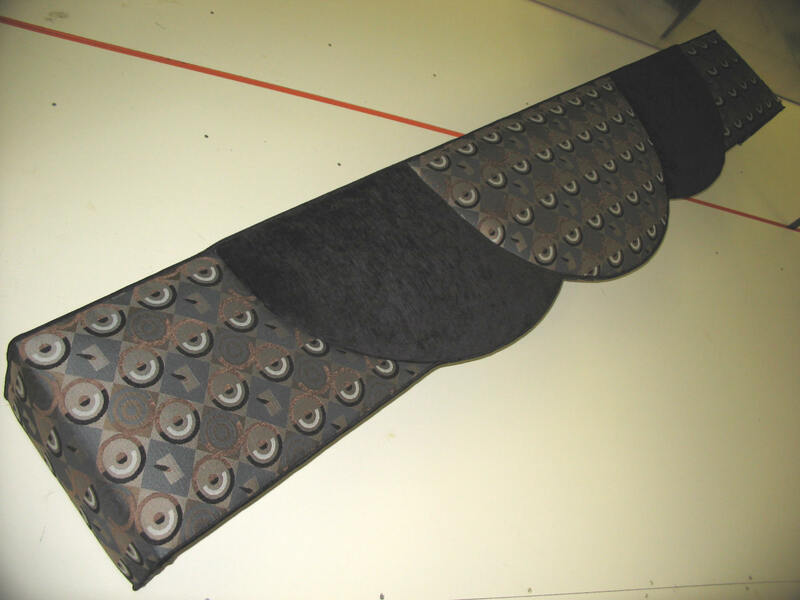 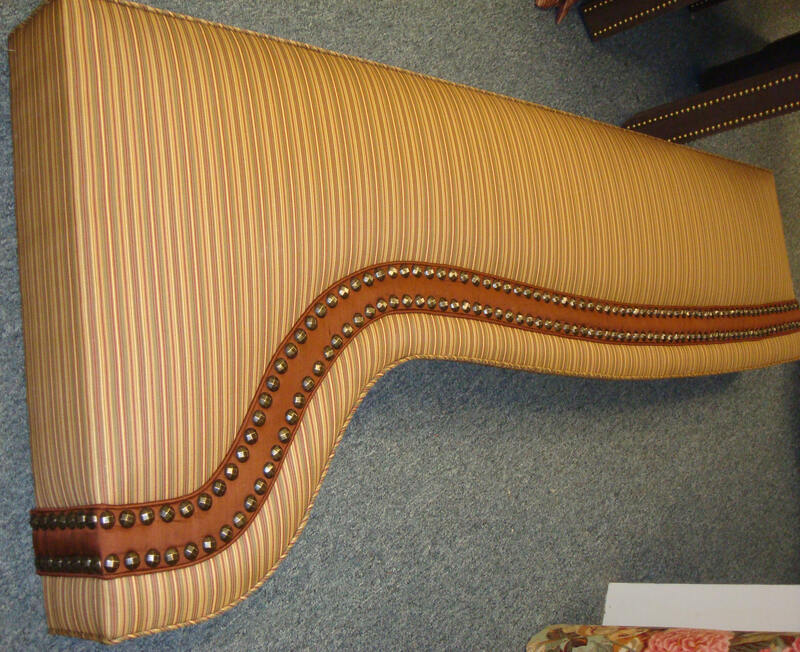 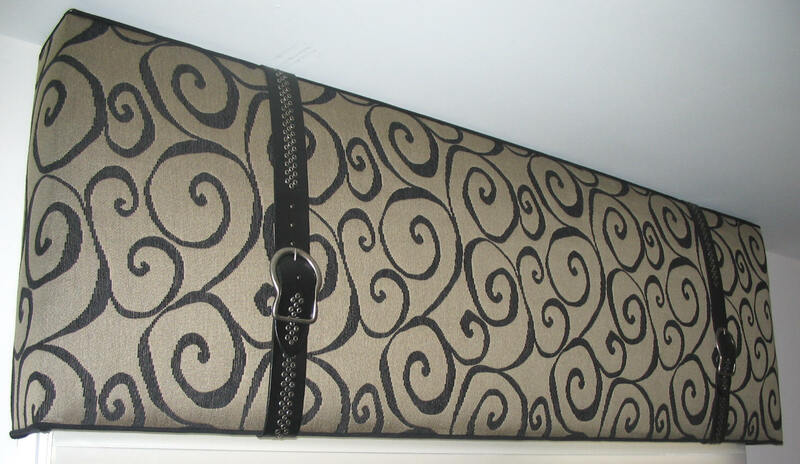 you may ship your fabric to us or e-mail us for a quote! 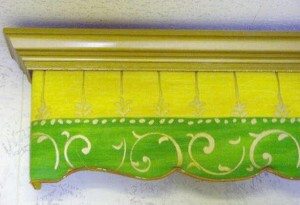 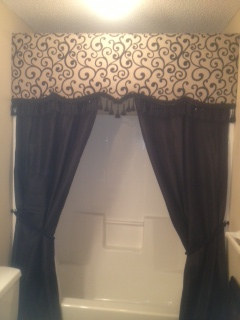 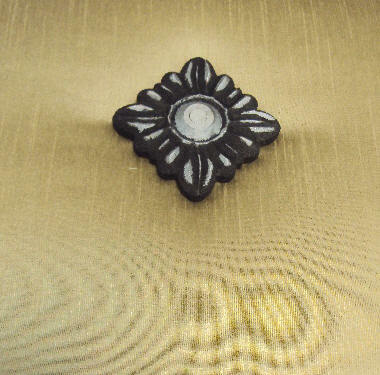 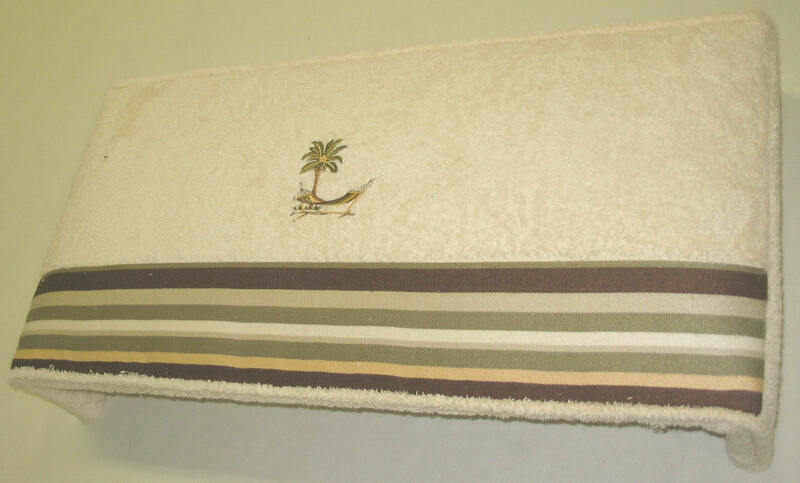 (Style # 5001) $ 15.00 per ft.